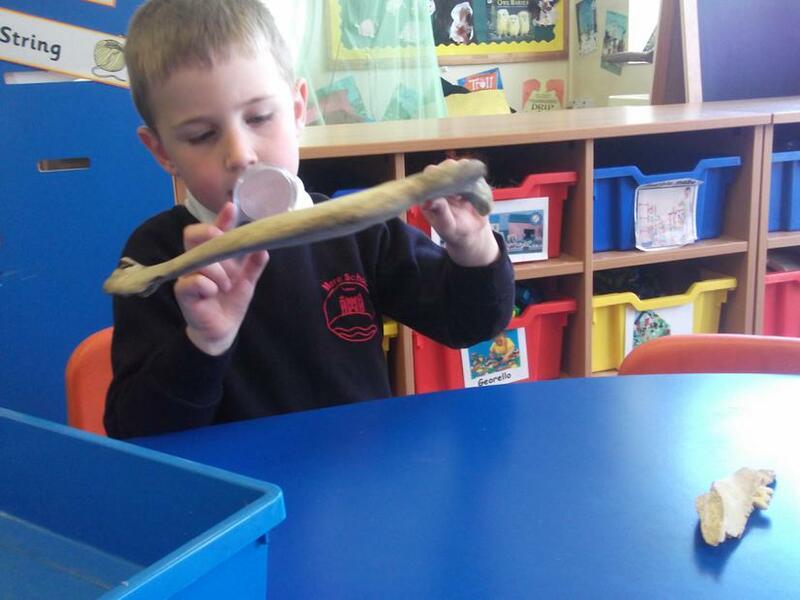 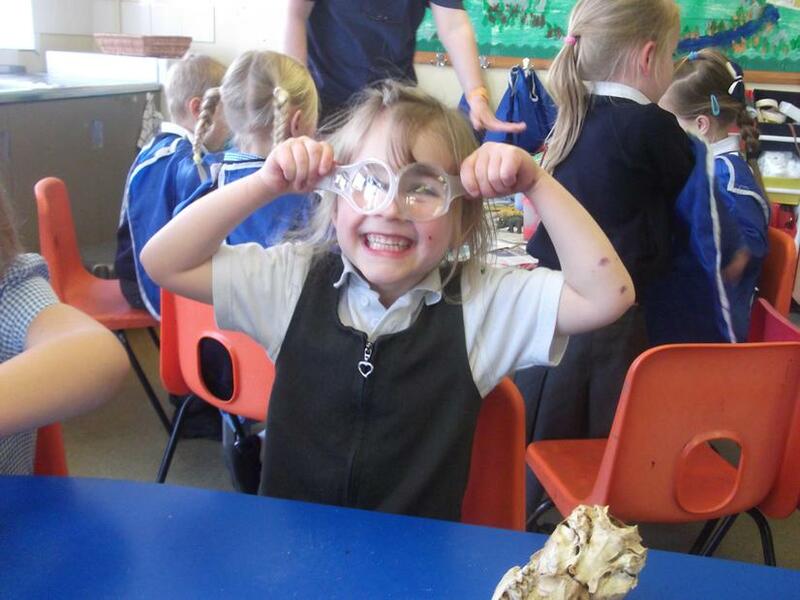 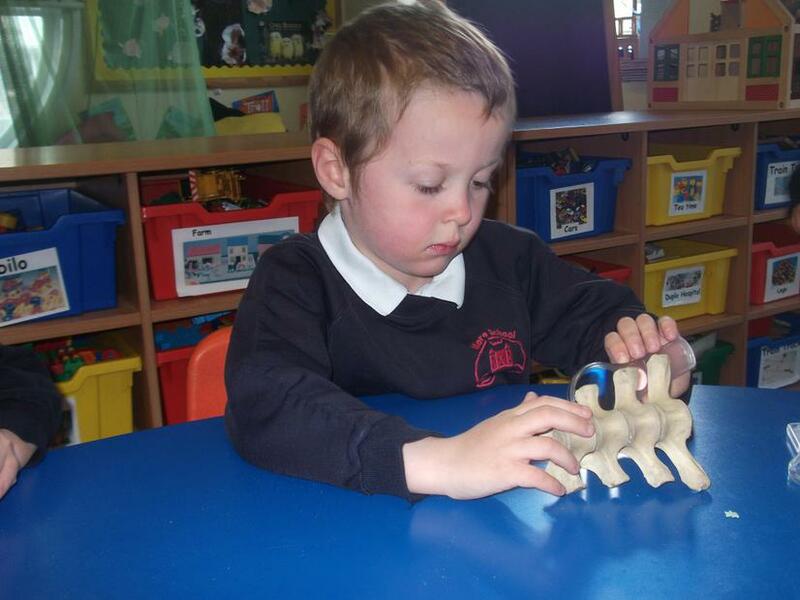 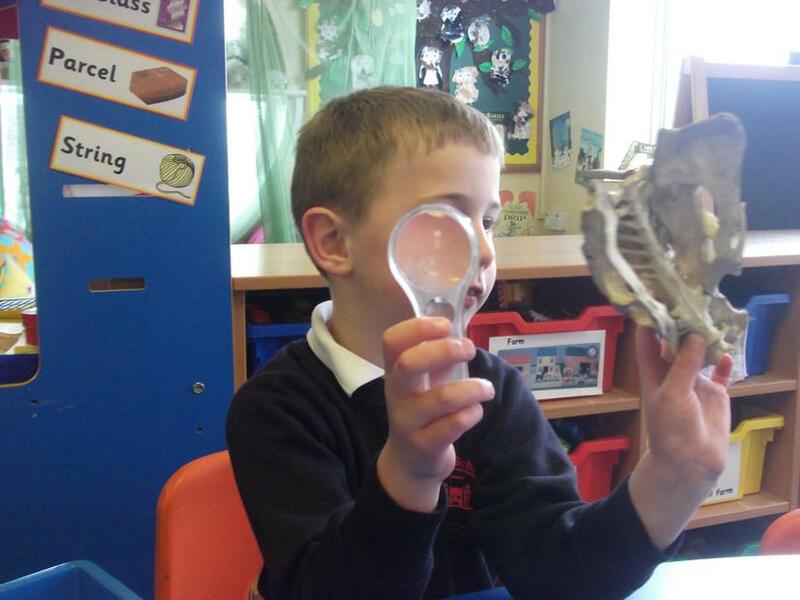 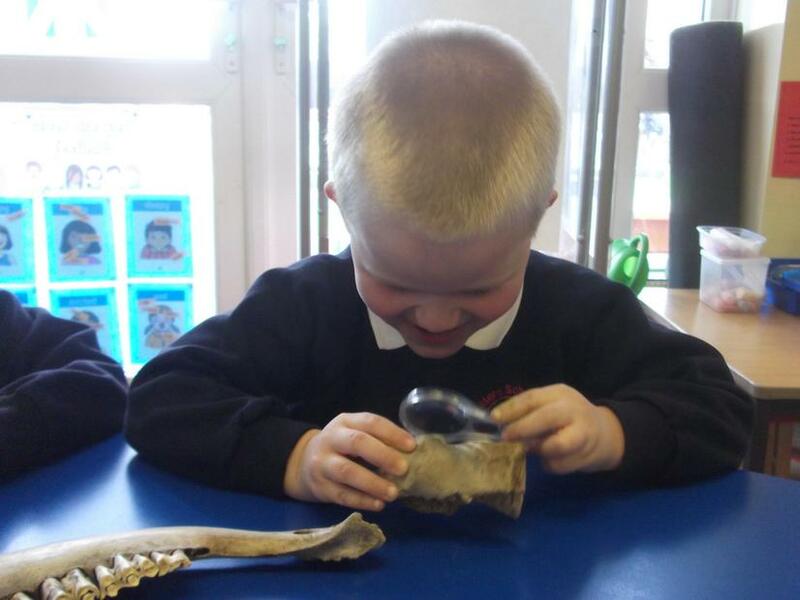 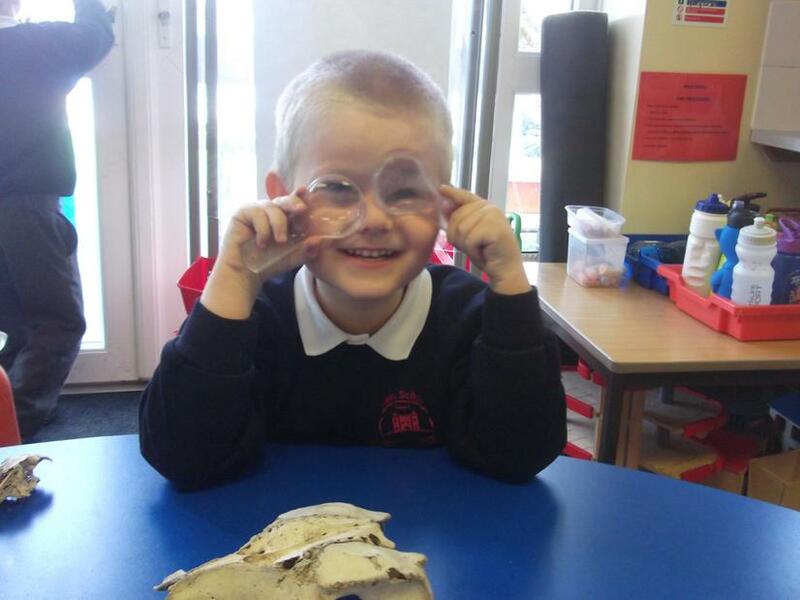 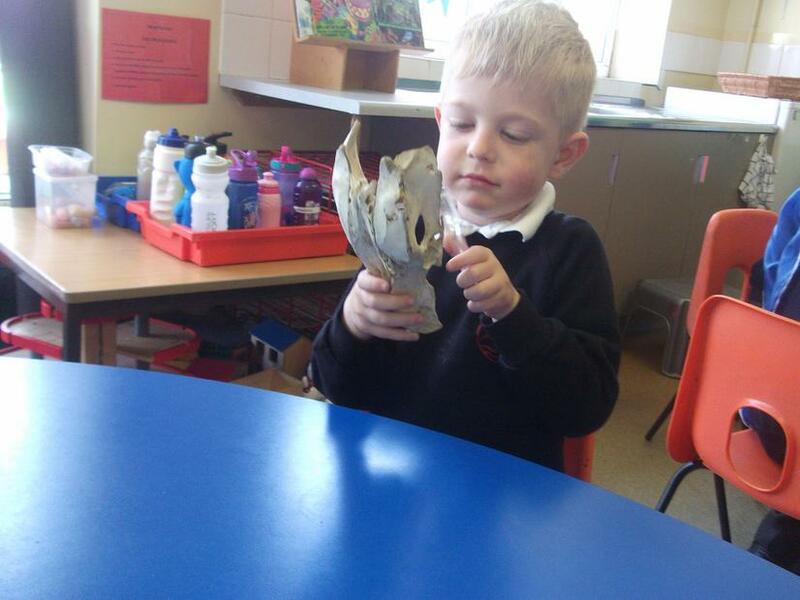 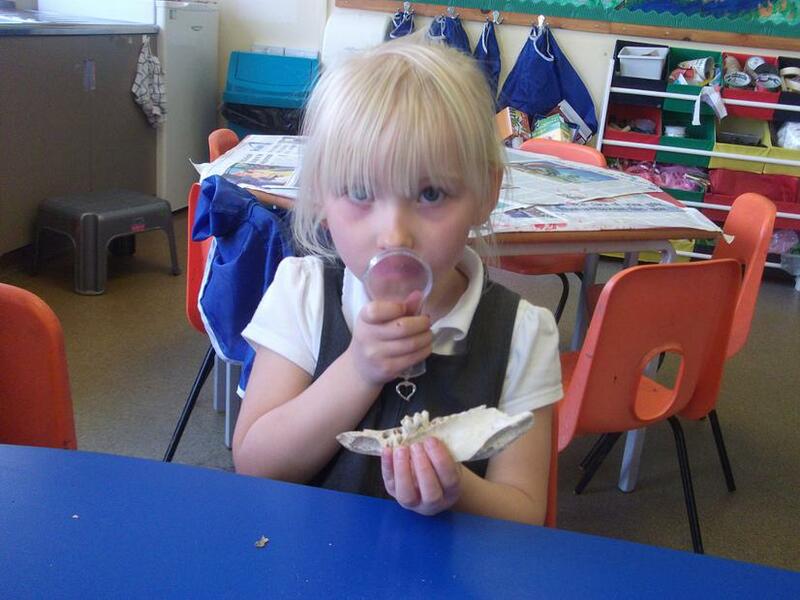 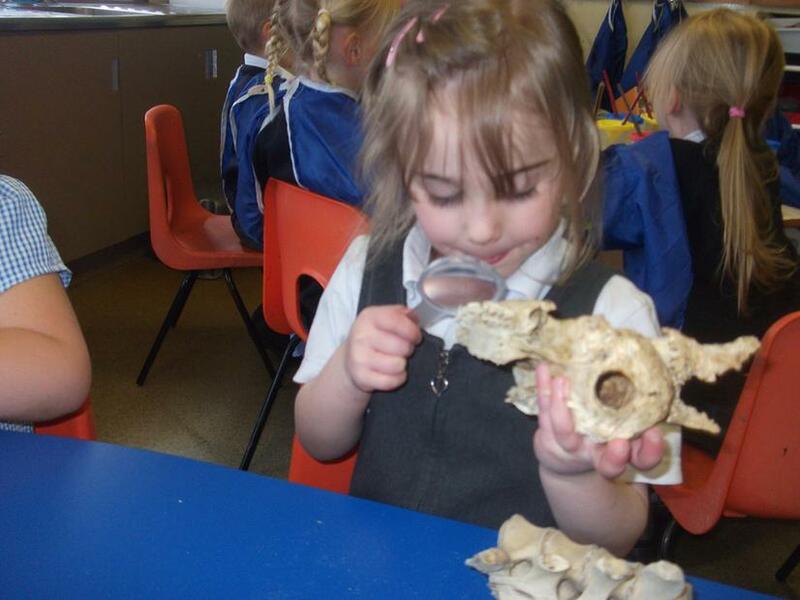 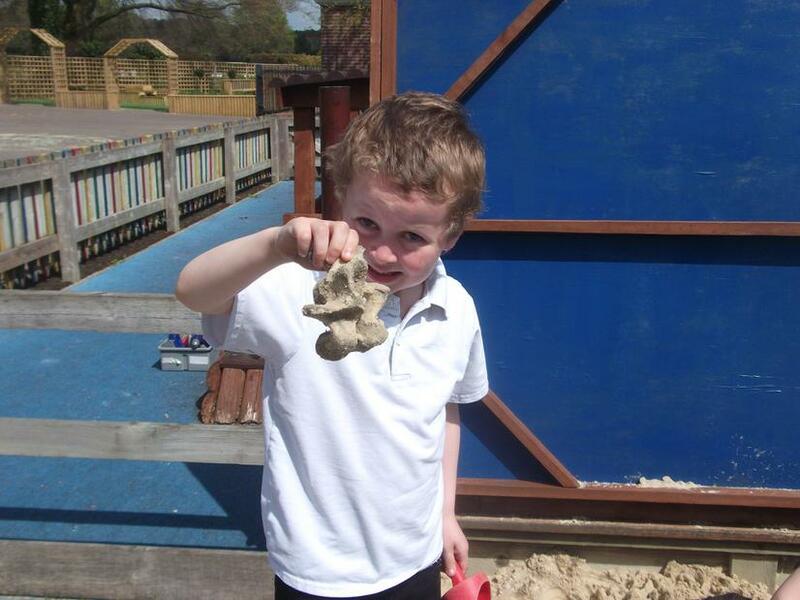 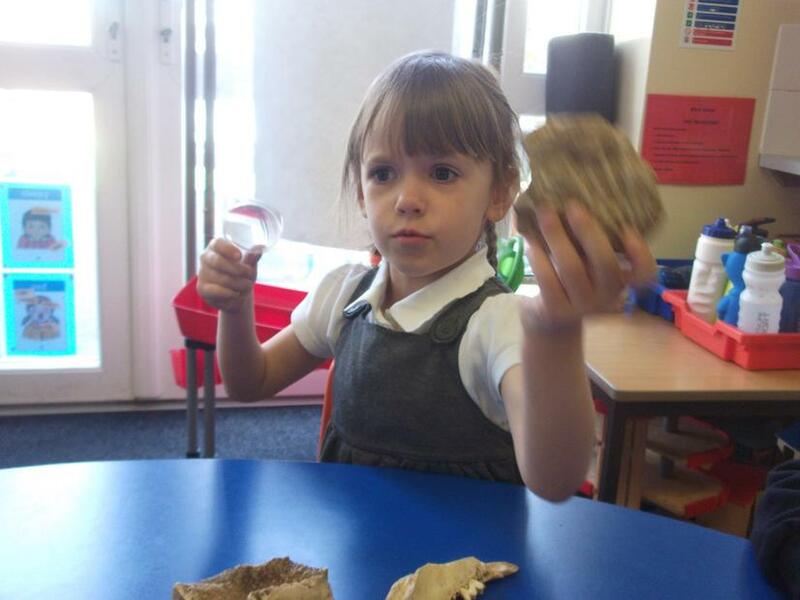 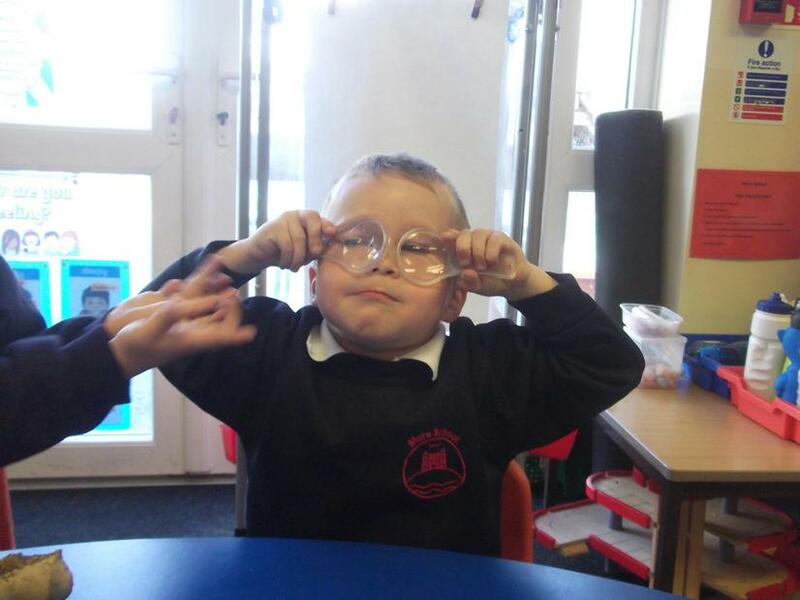 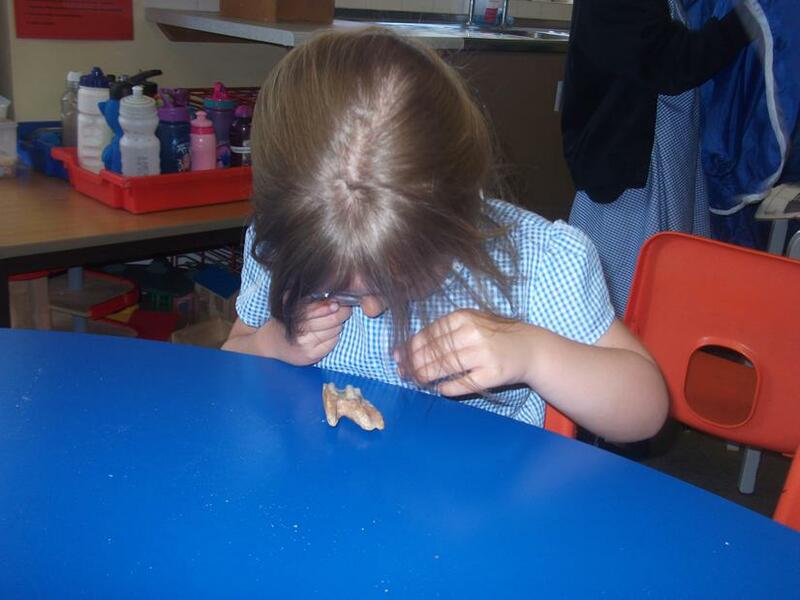 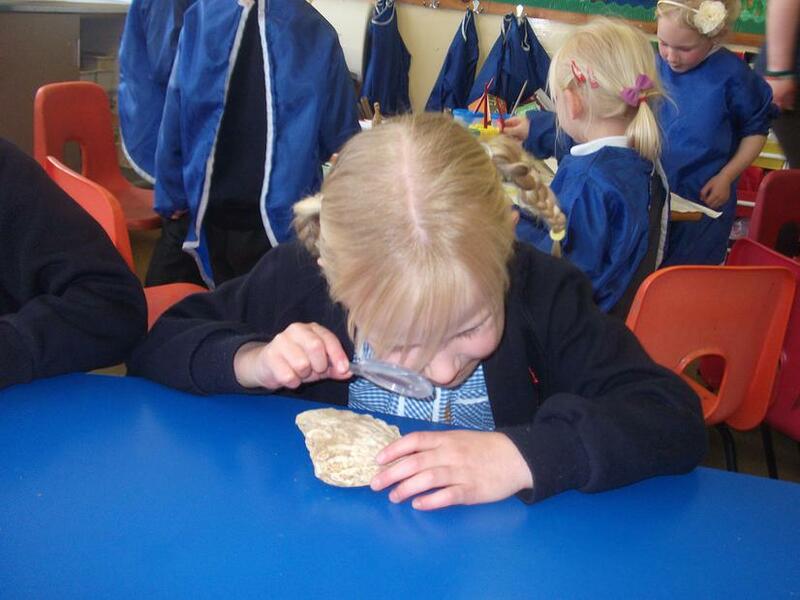 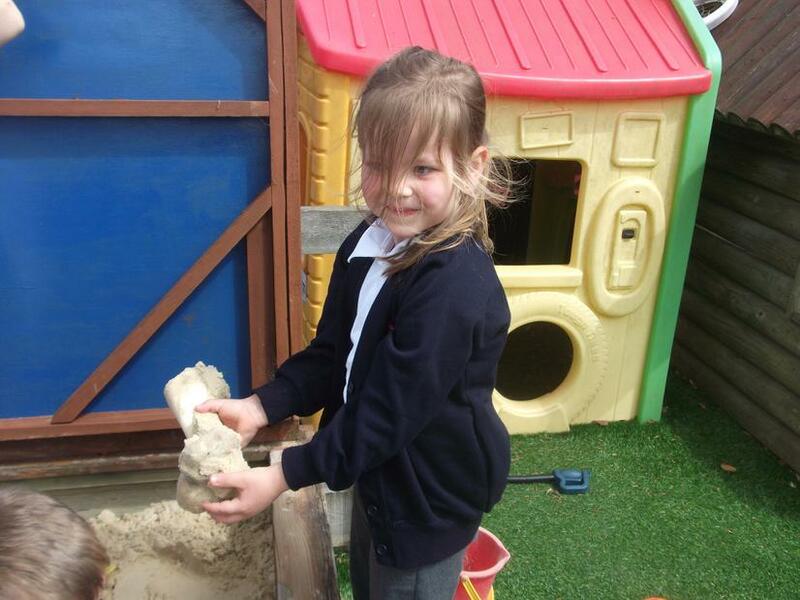 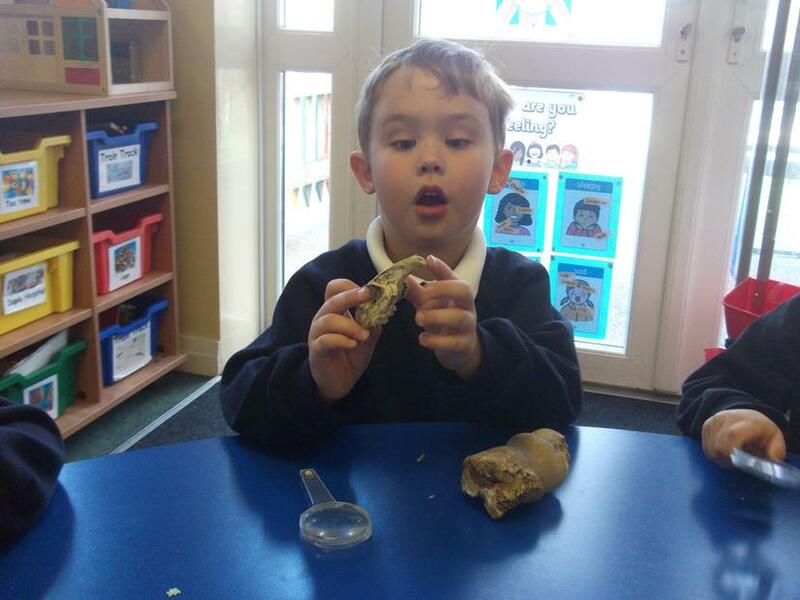 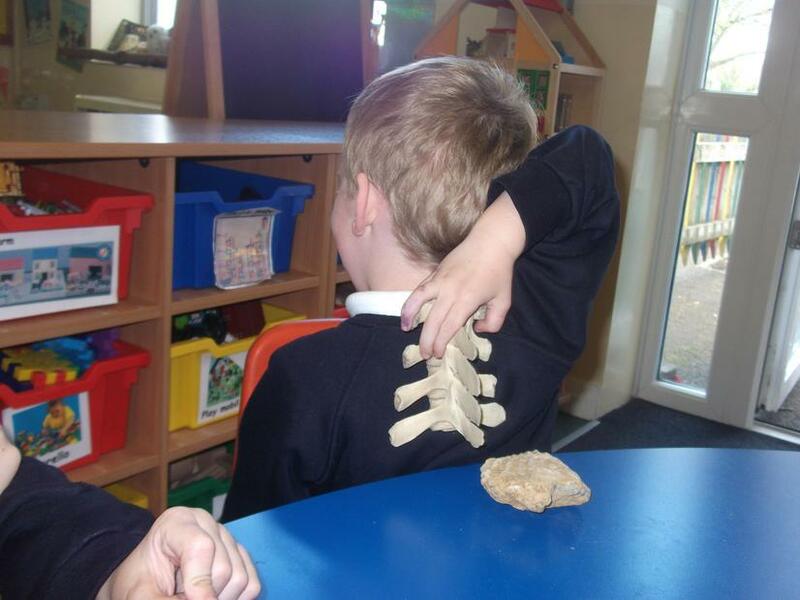 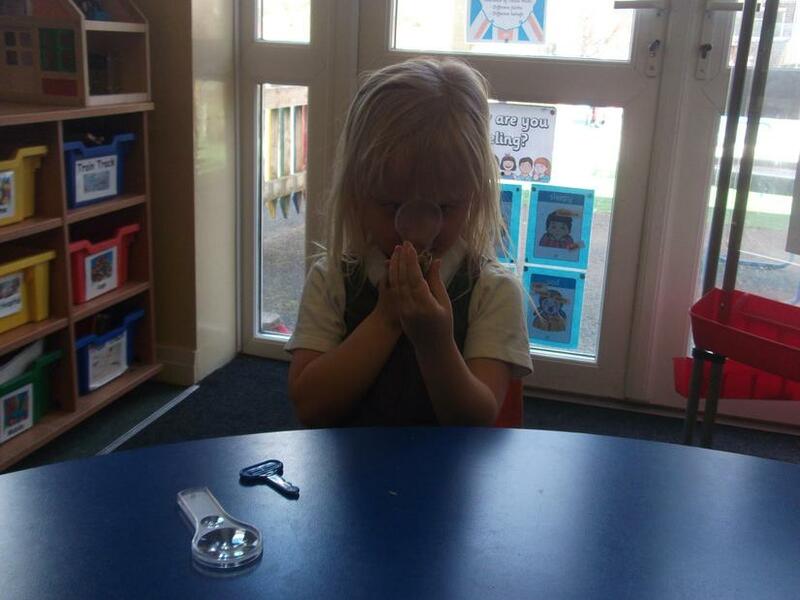 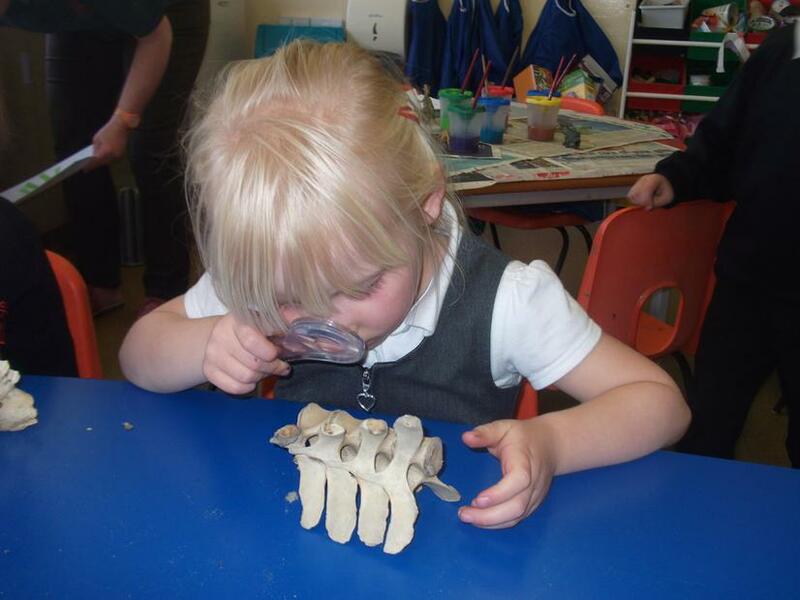 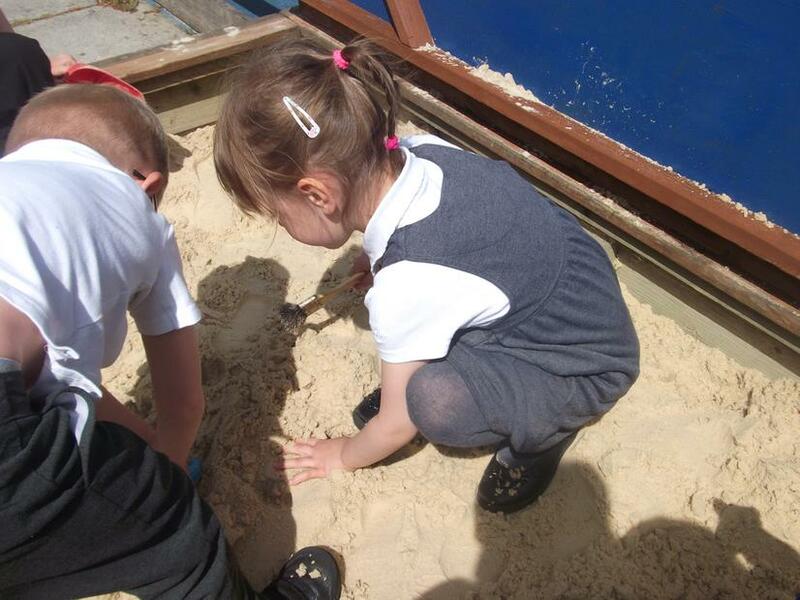 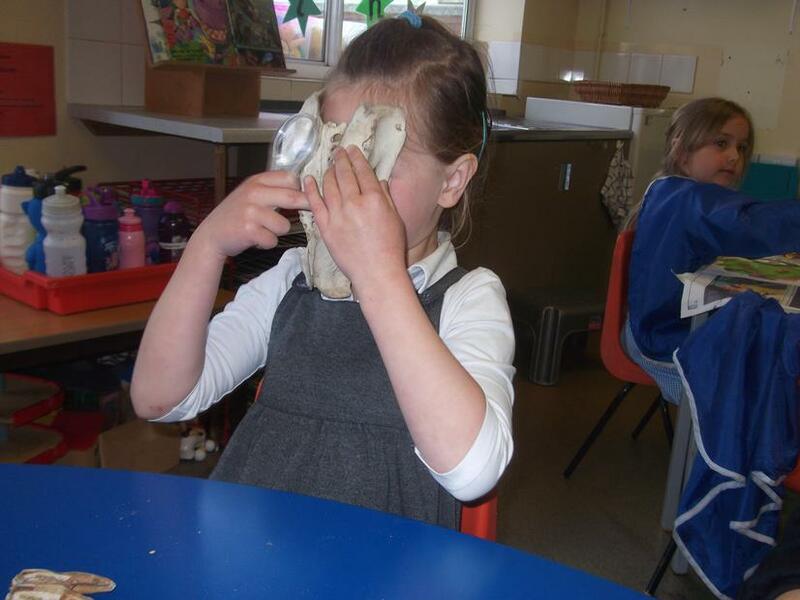 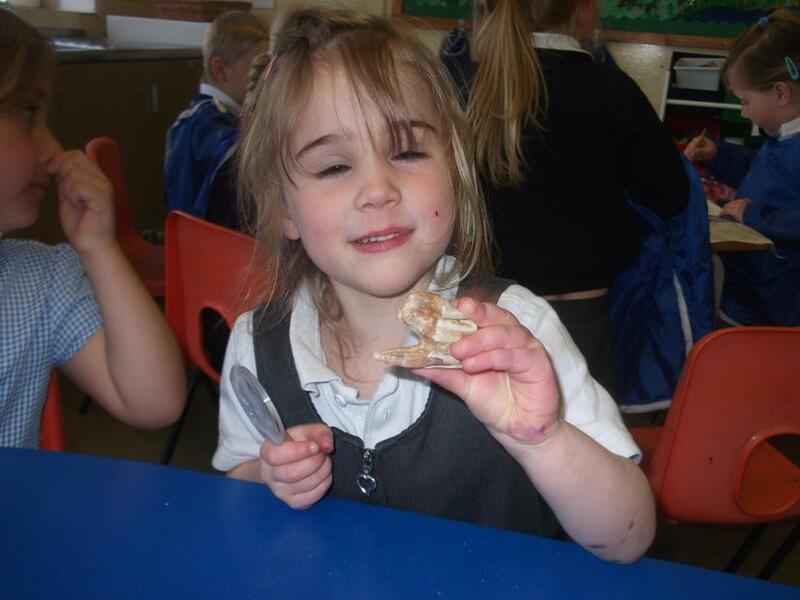 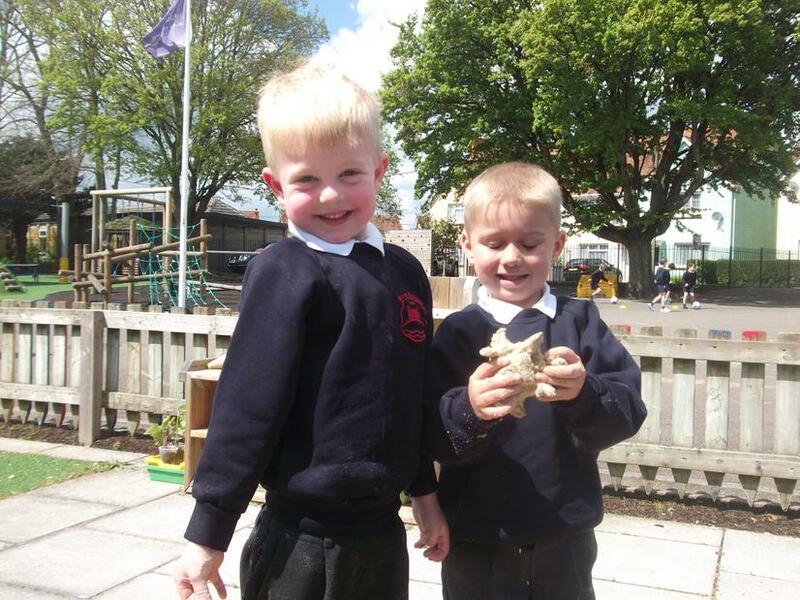 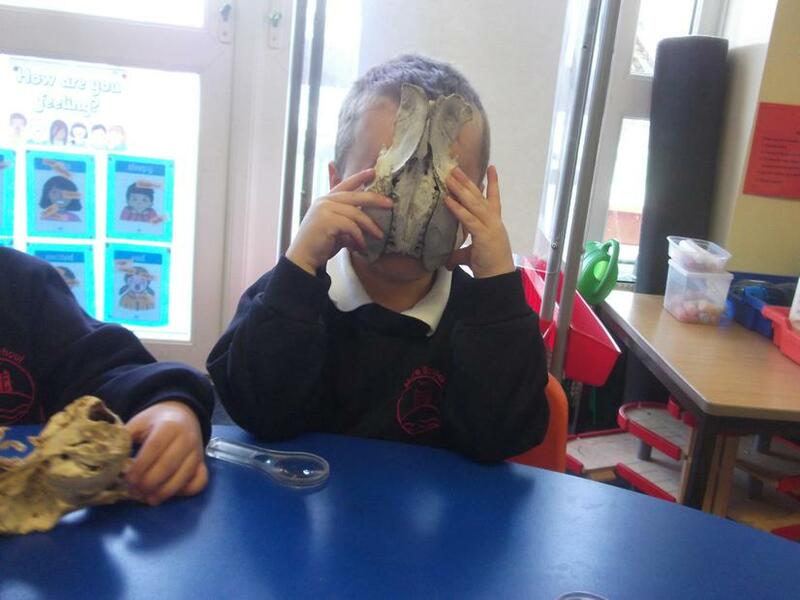 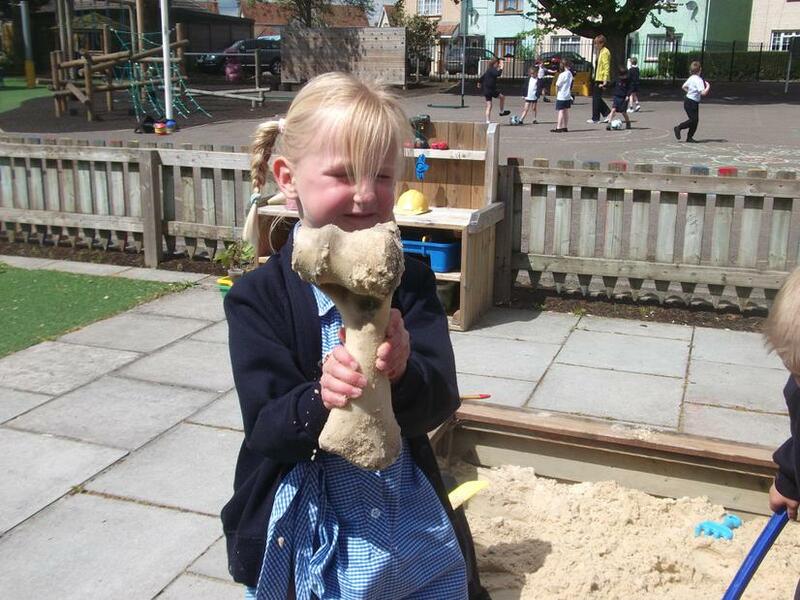 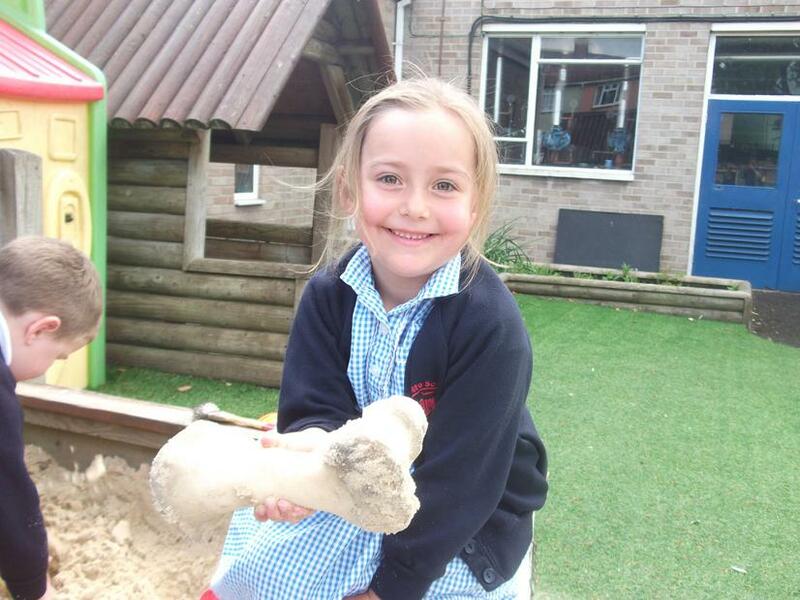 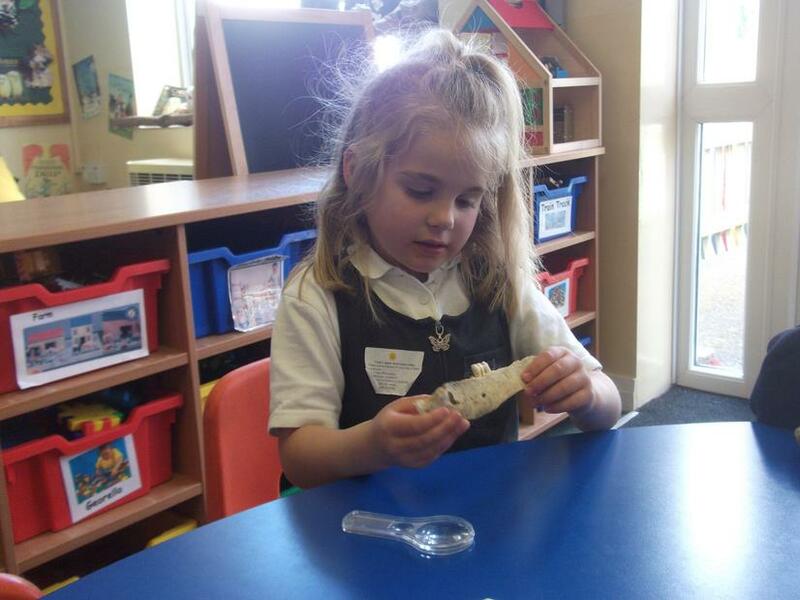 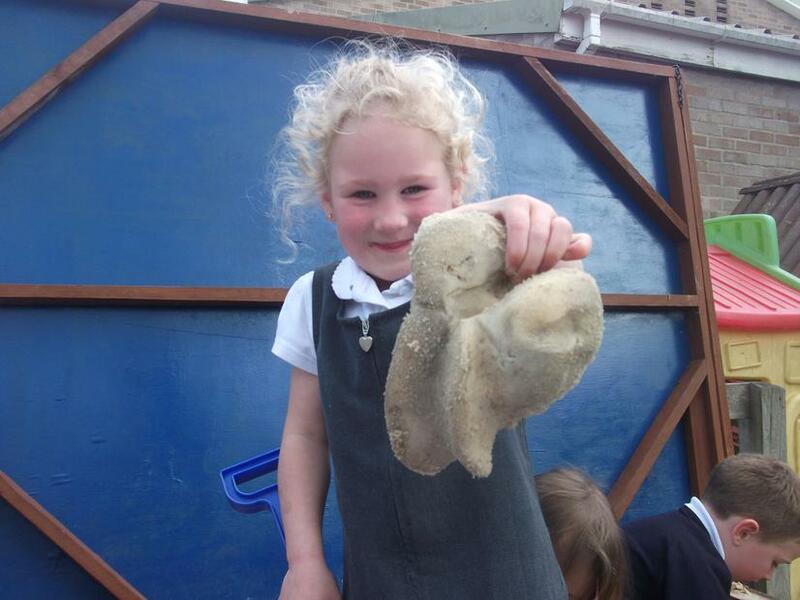 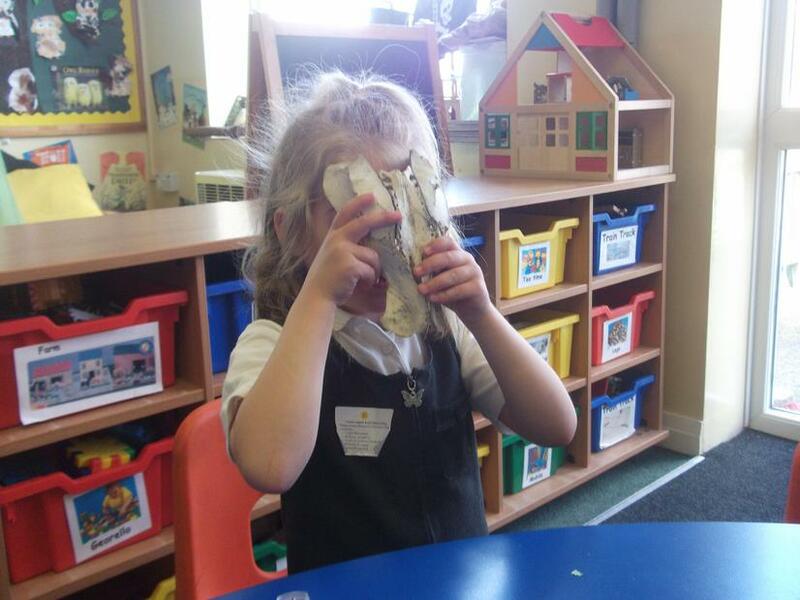 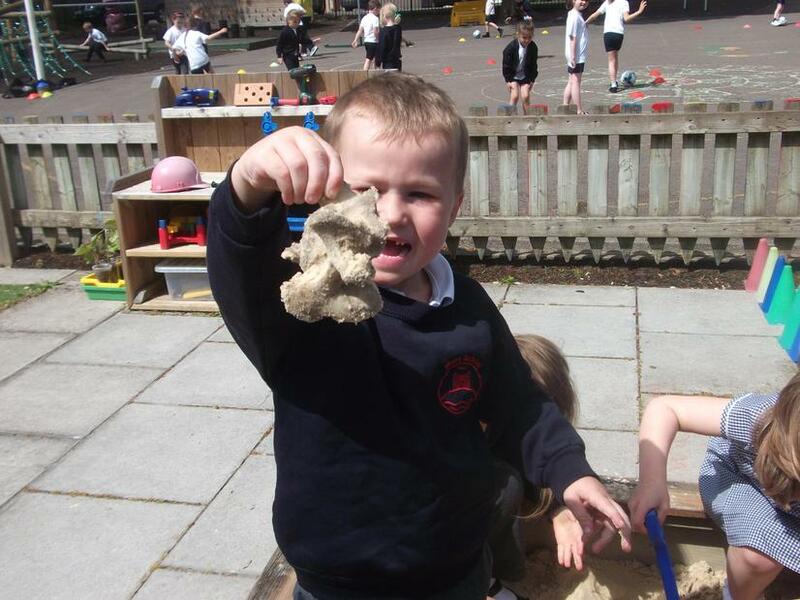 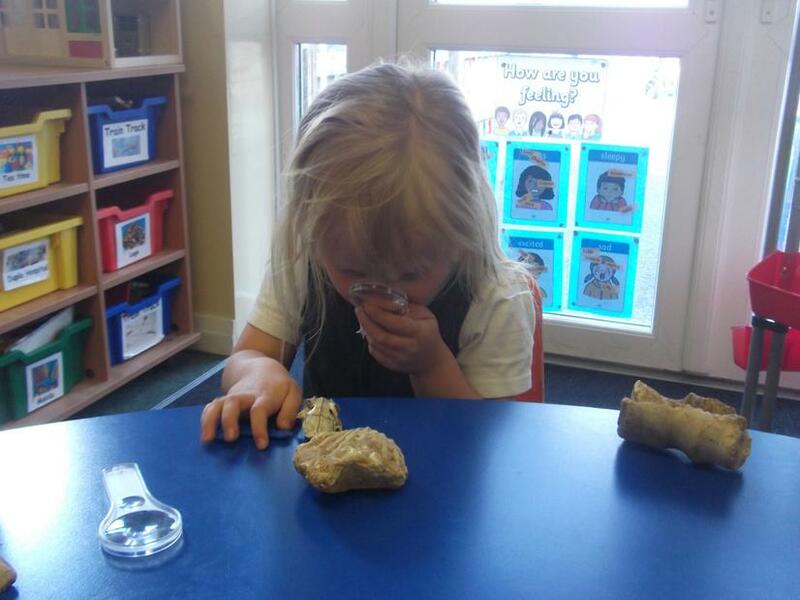 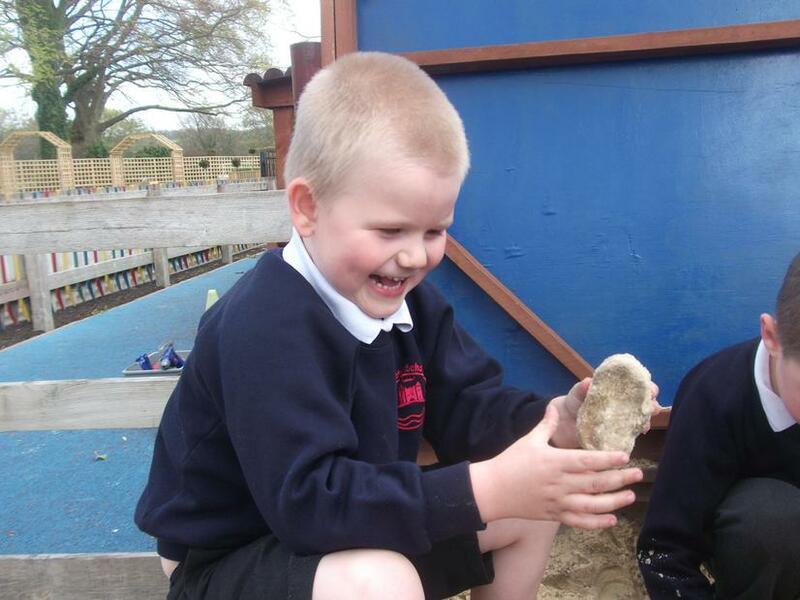 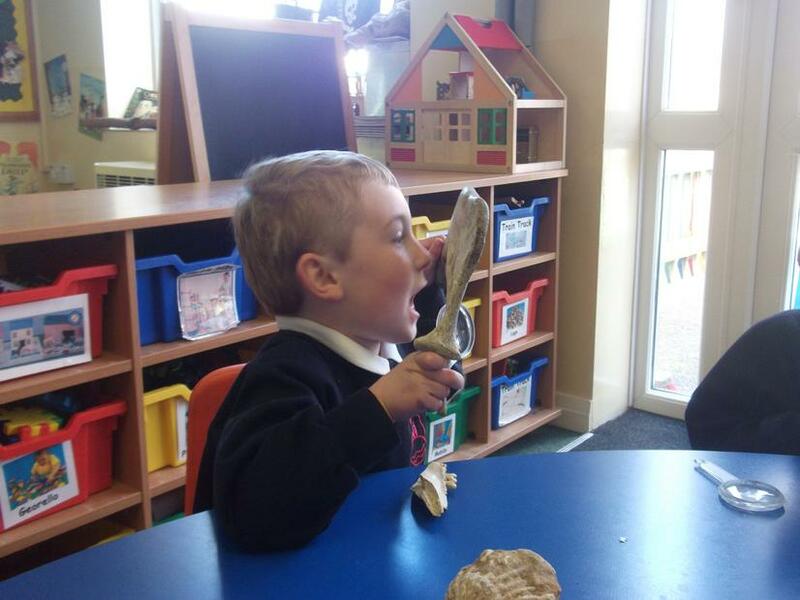 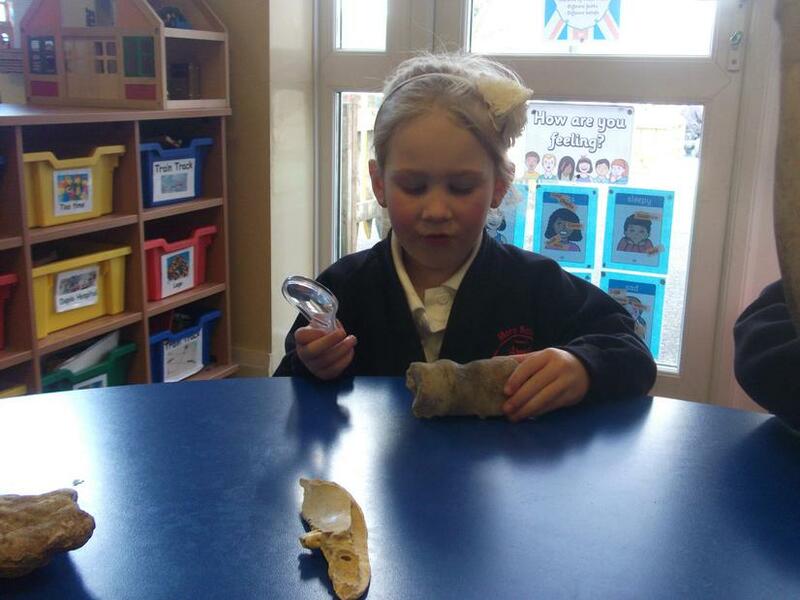 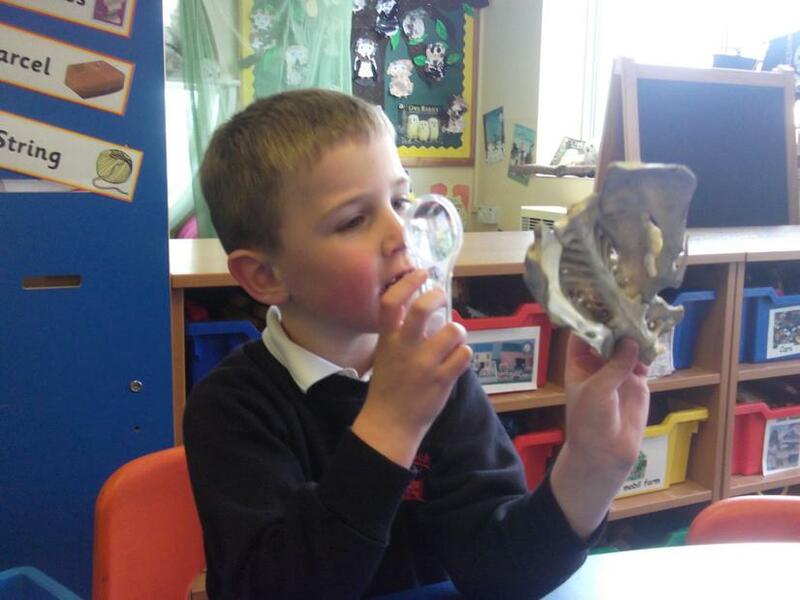 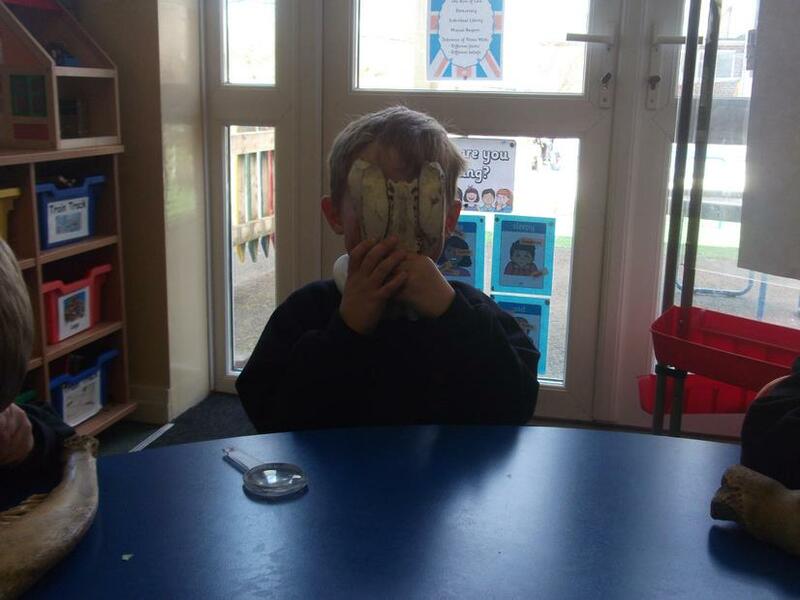 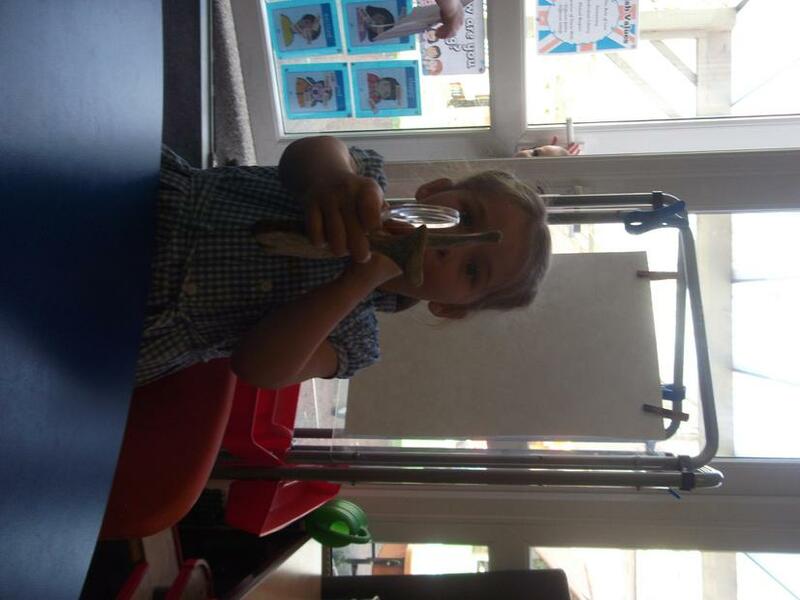 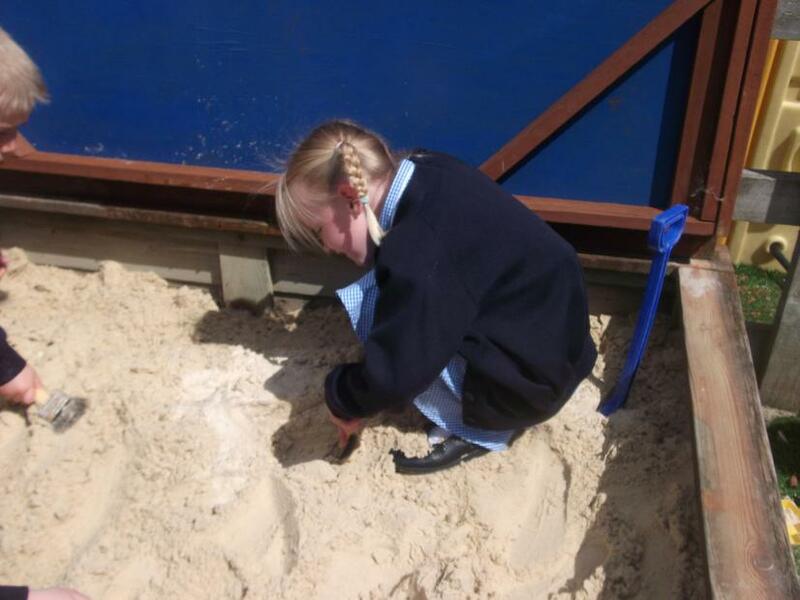 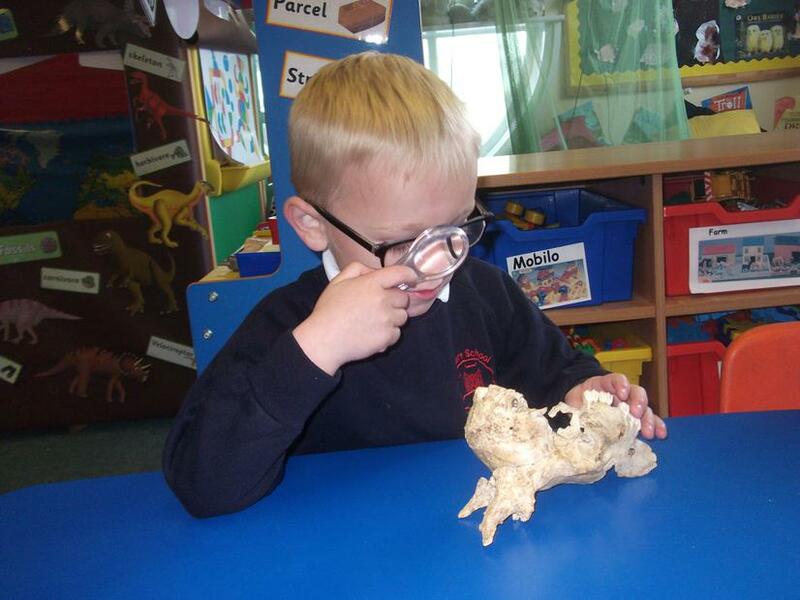 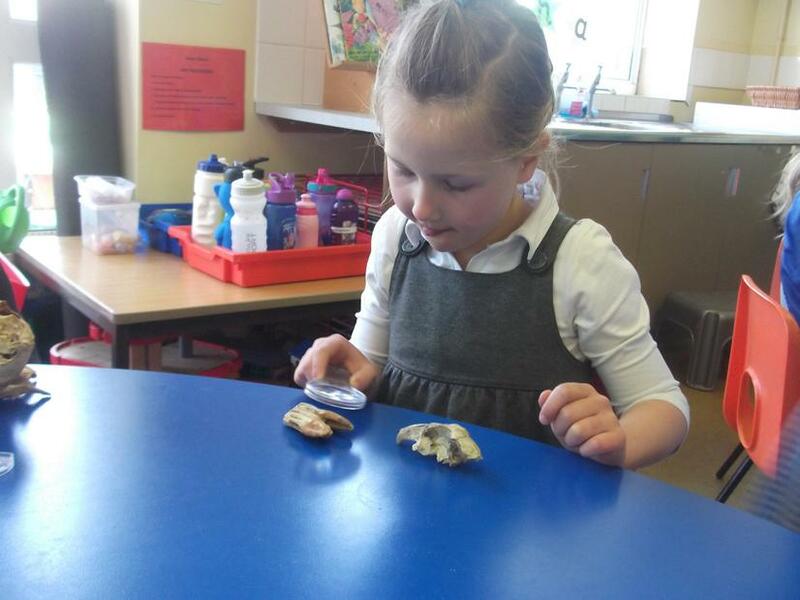 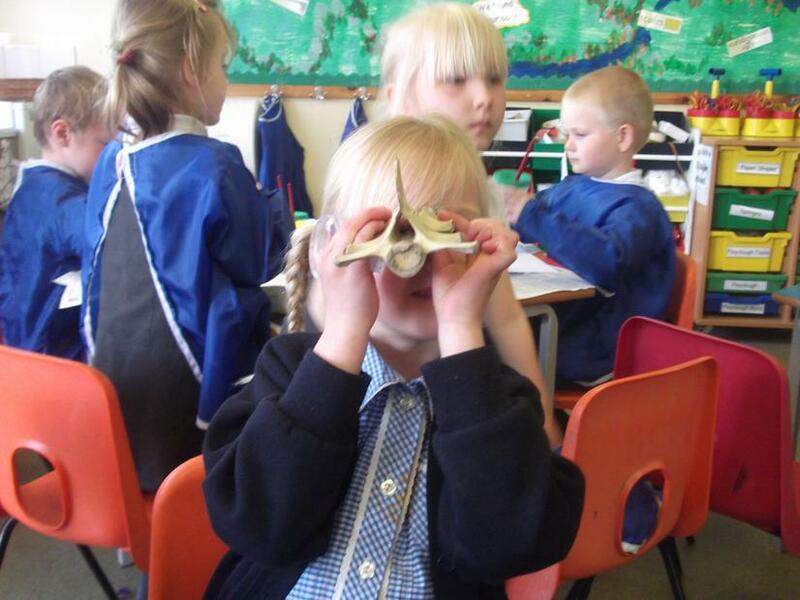 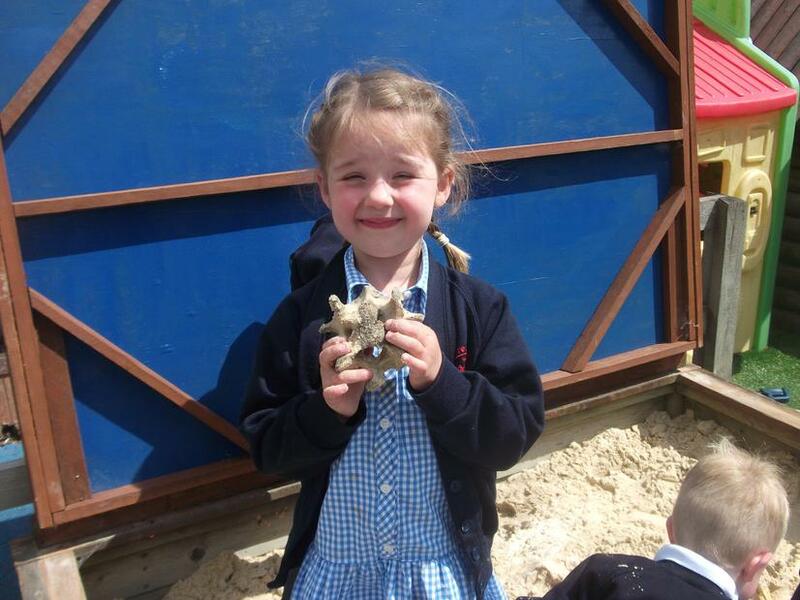 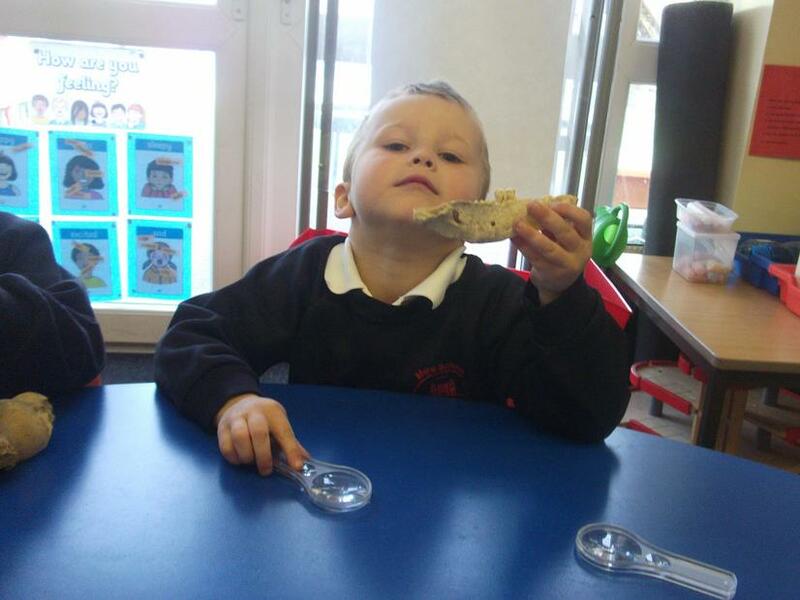 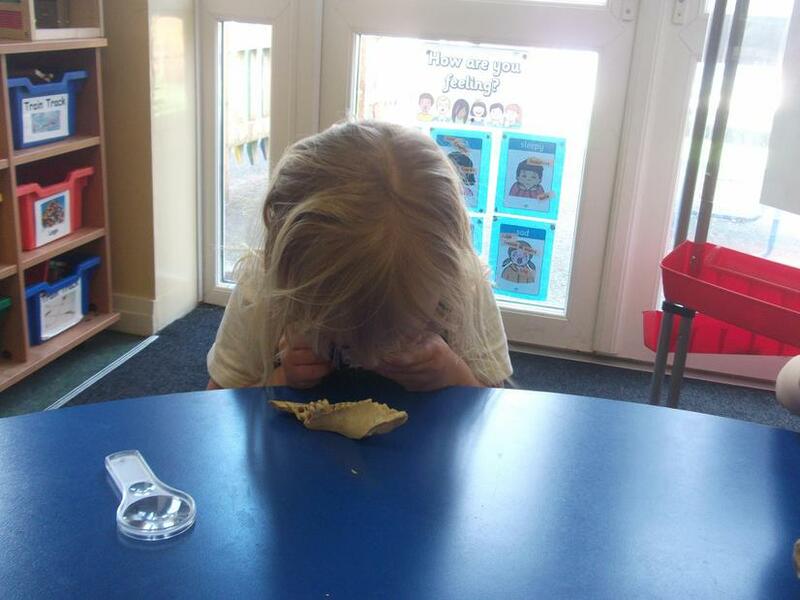 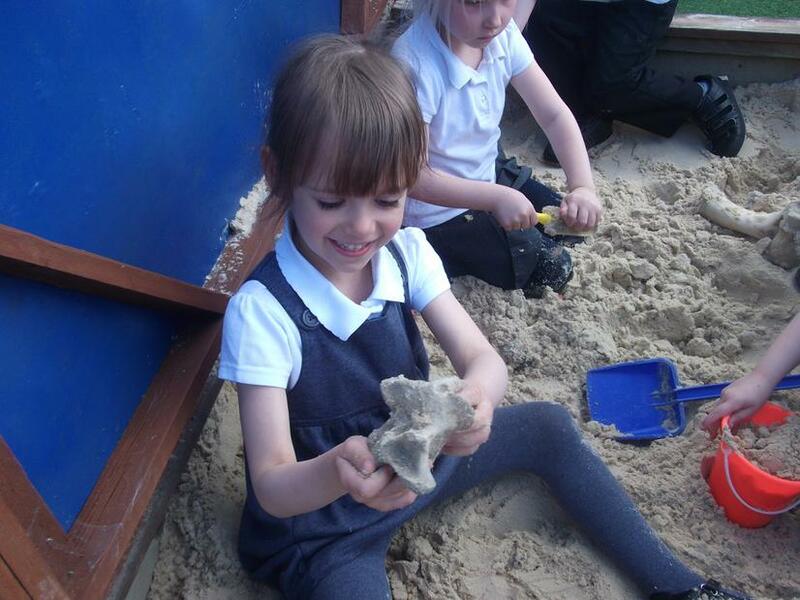 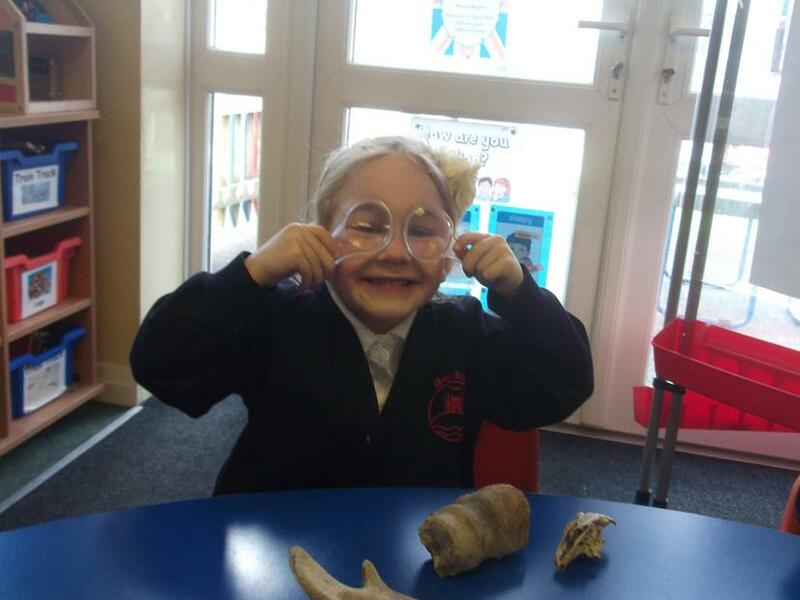 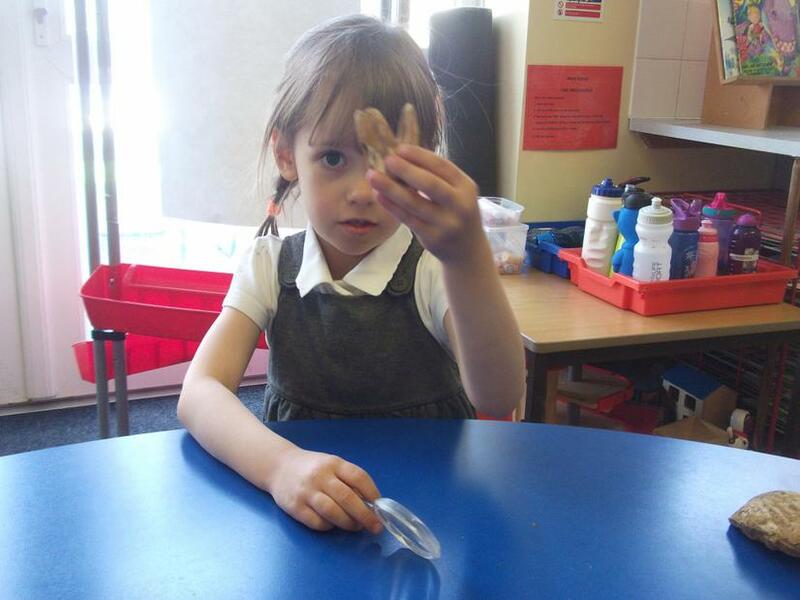 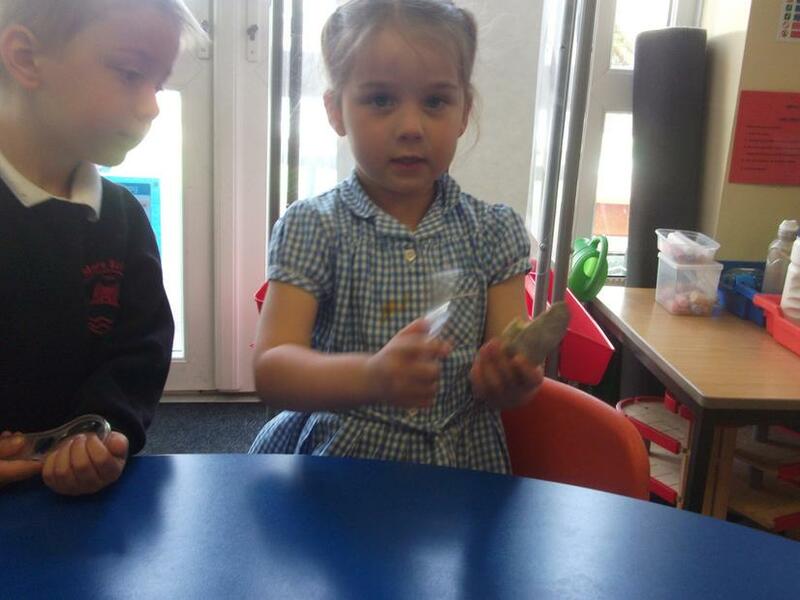 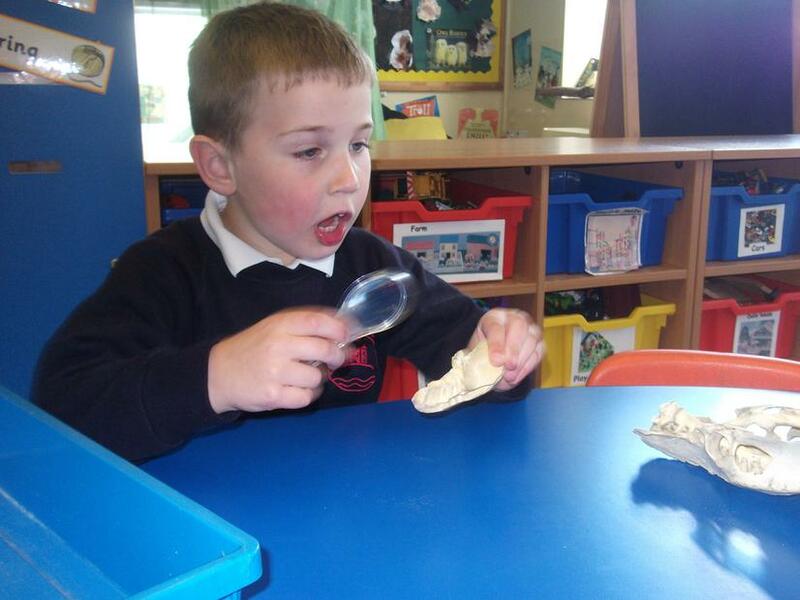 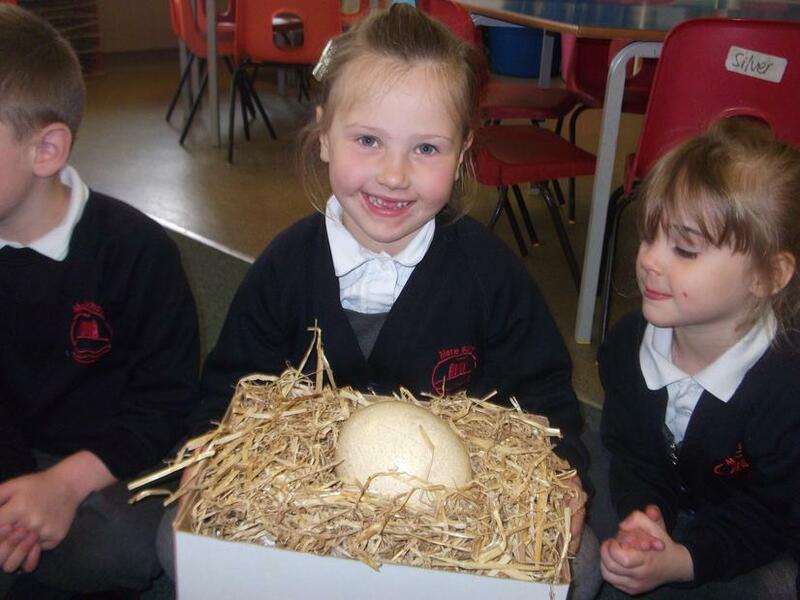 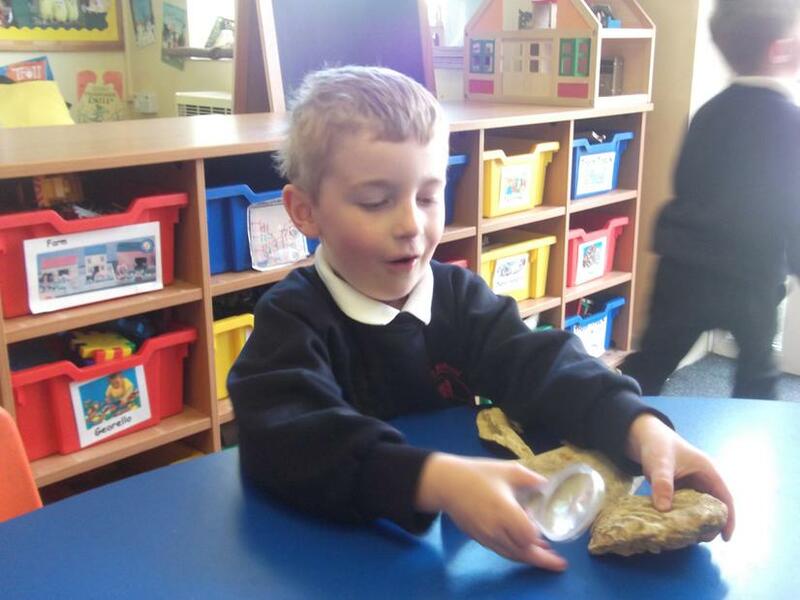 We were truly amazed when we found a DINOSAUR egg in Blue Class!! 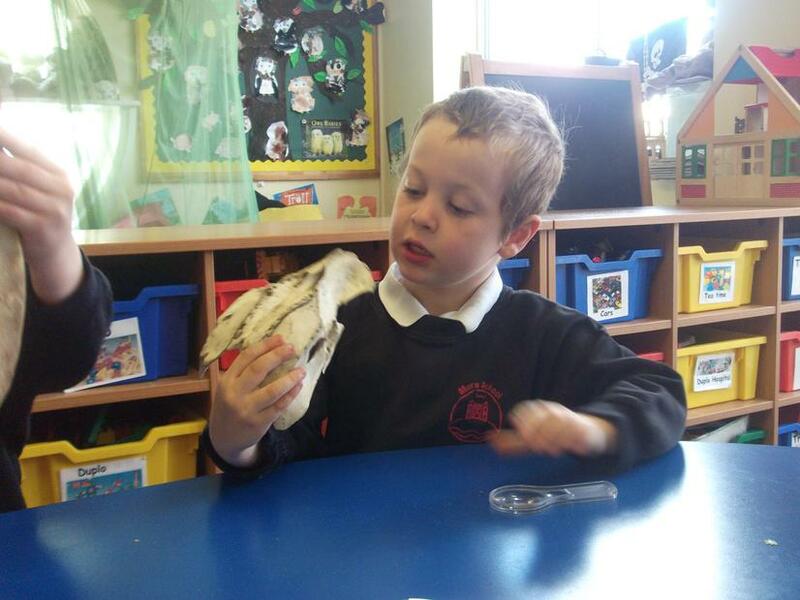 We all thought about how we could keep the egg safe and decided to write labels to stop people touching it. 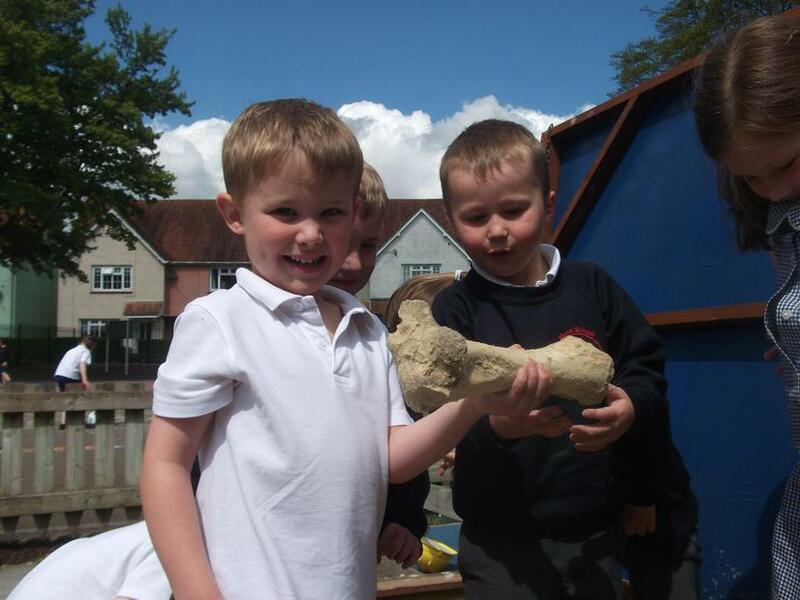 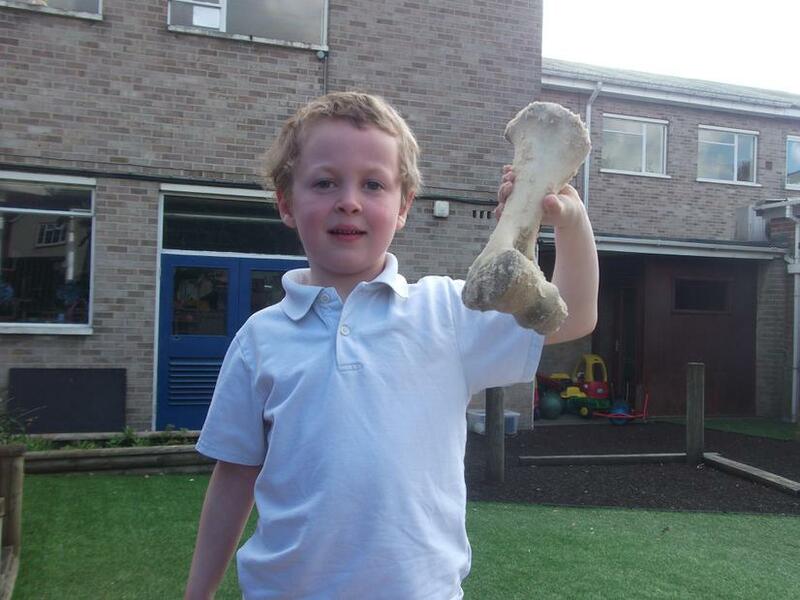 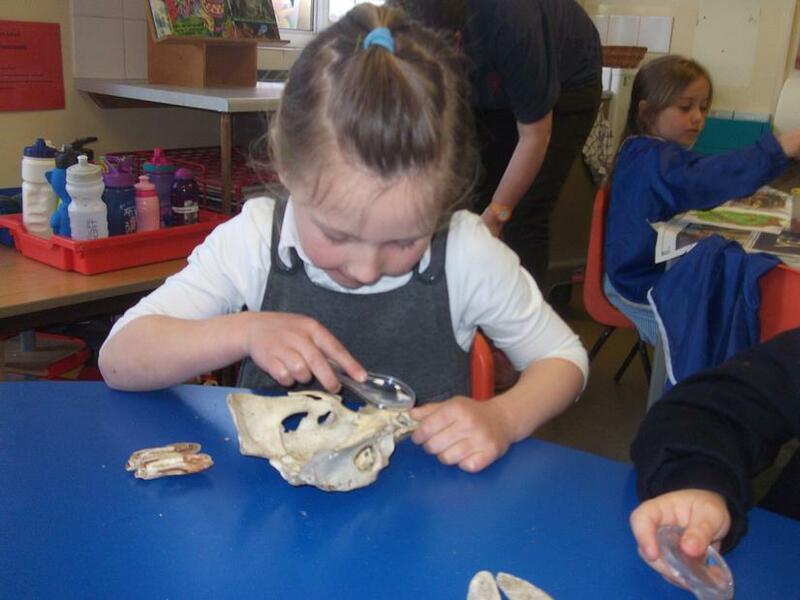 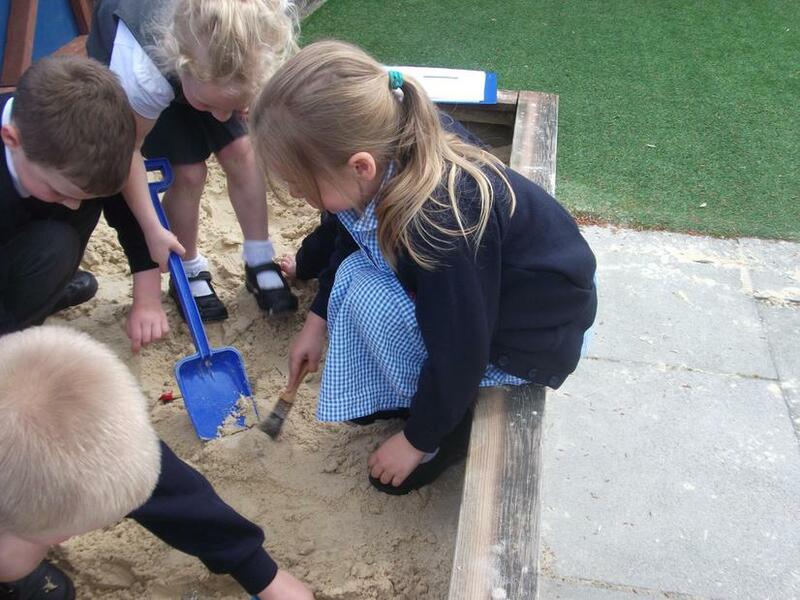 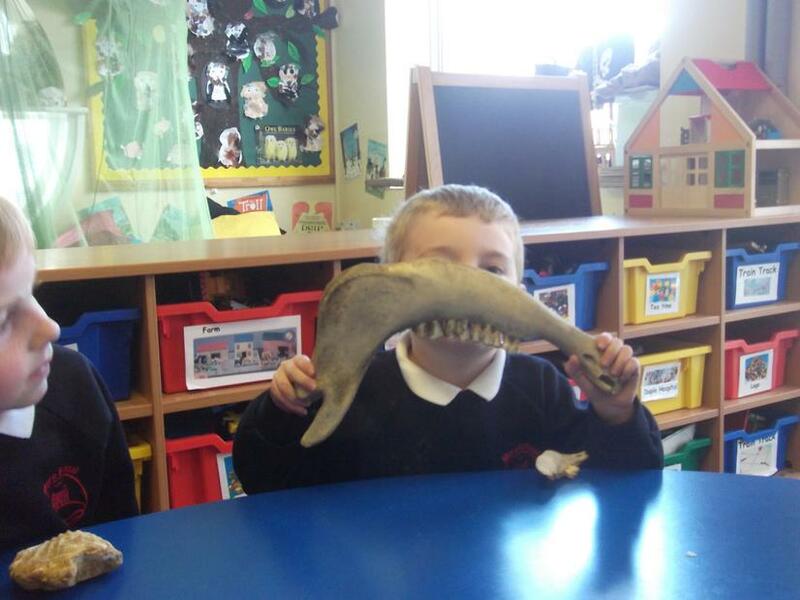 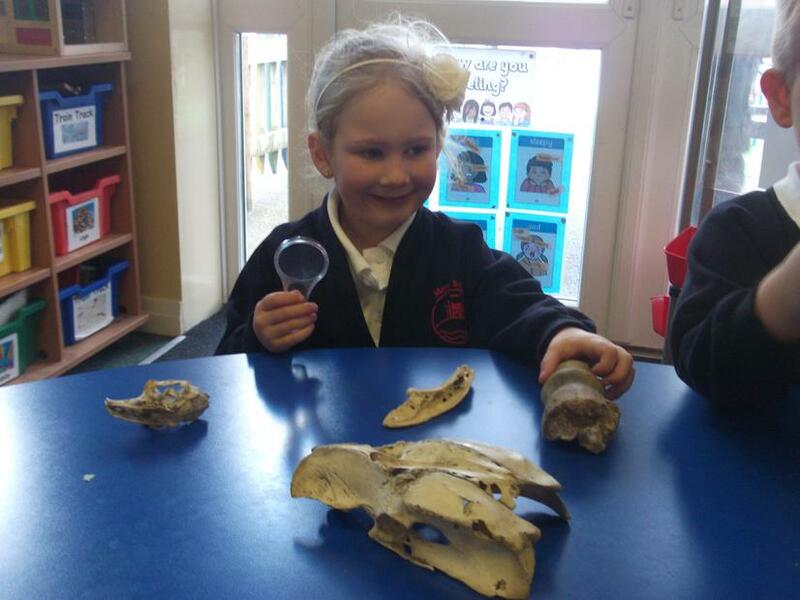 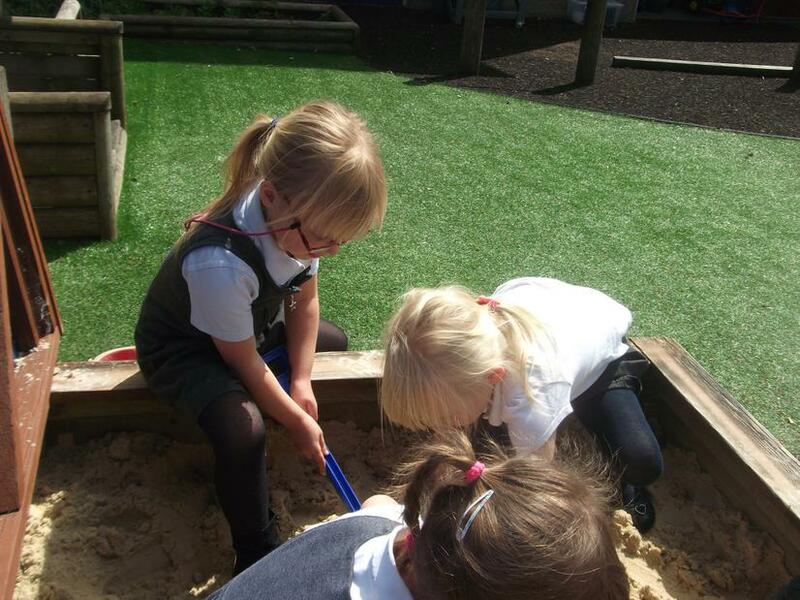 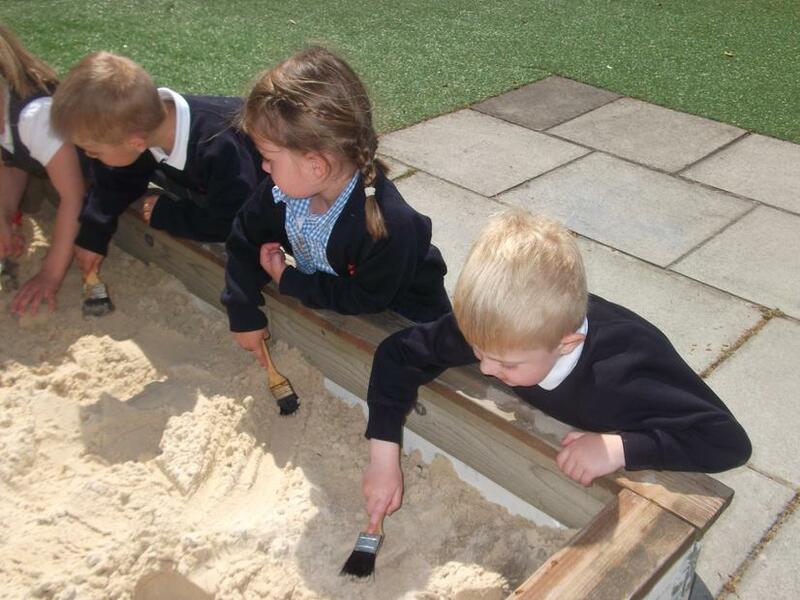 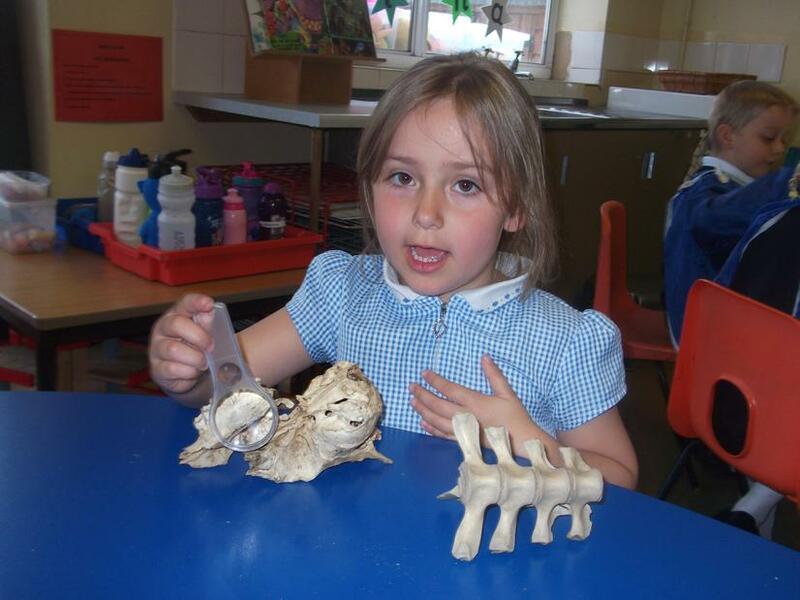 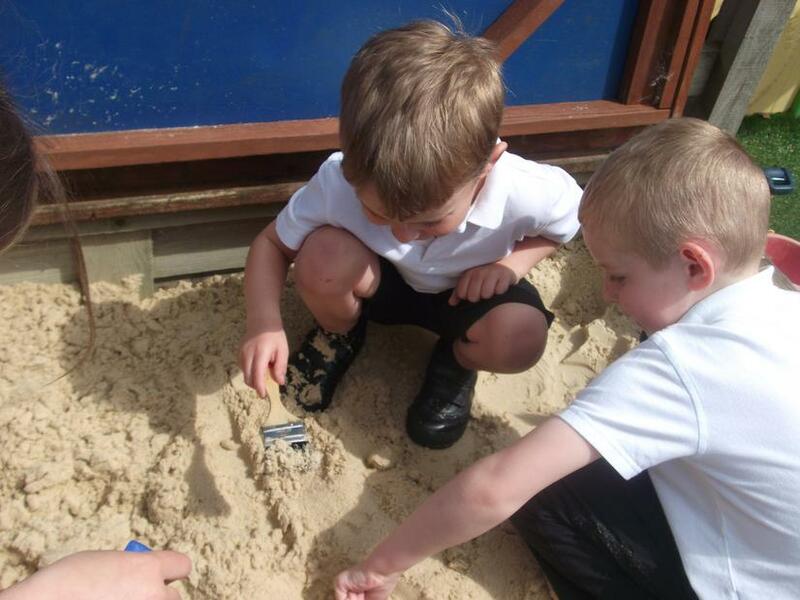 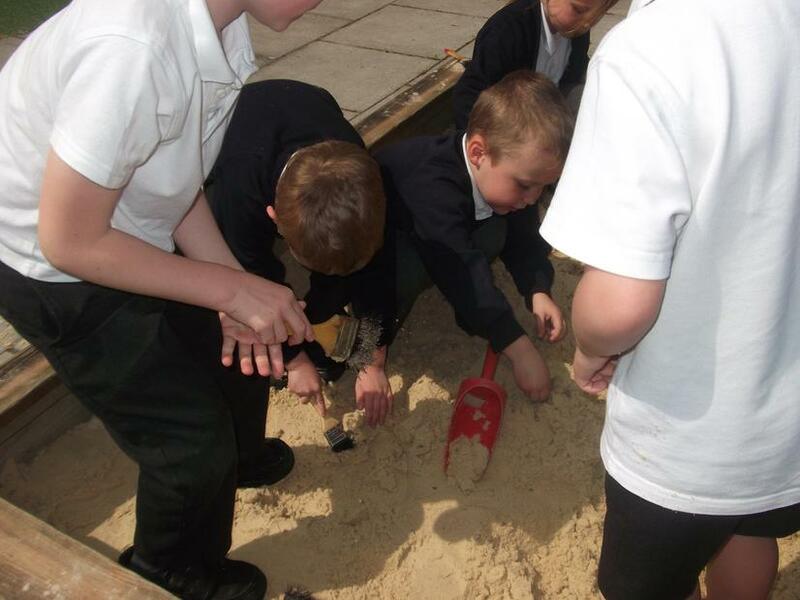 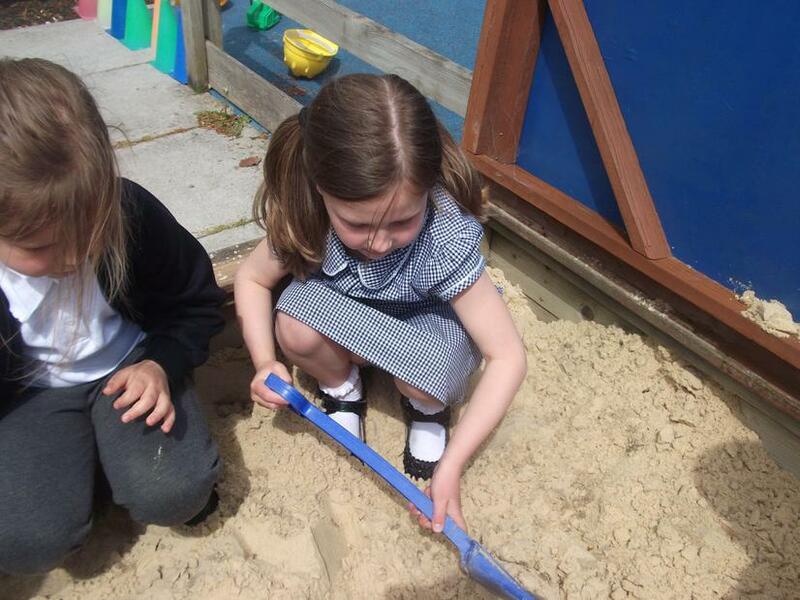 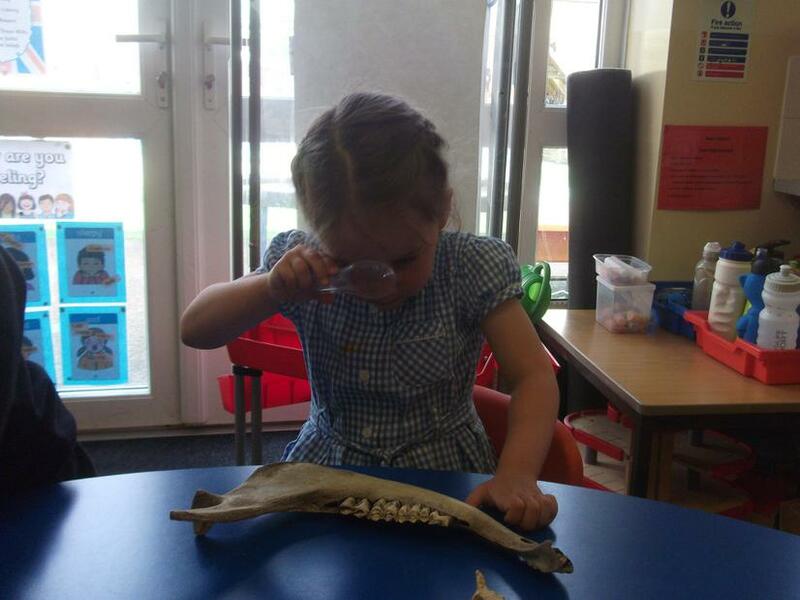 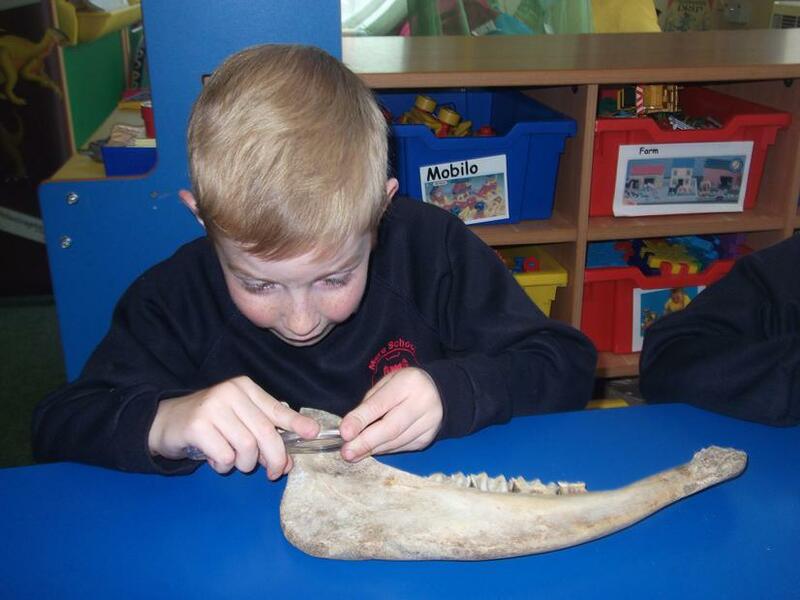 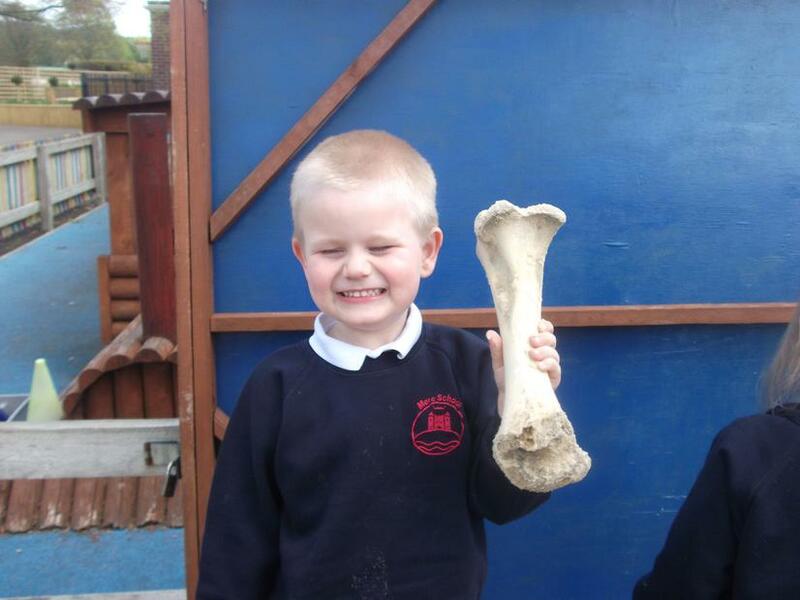 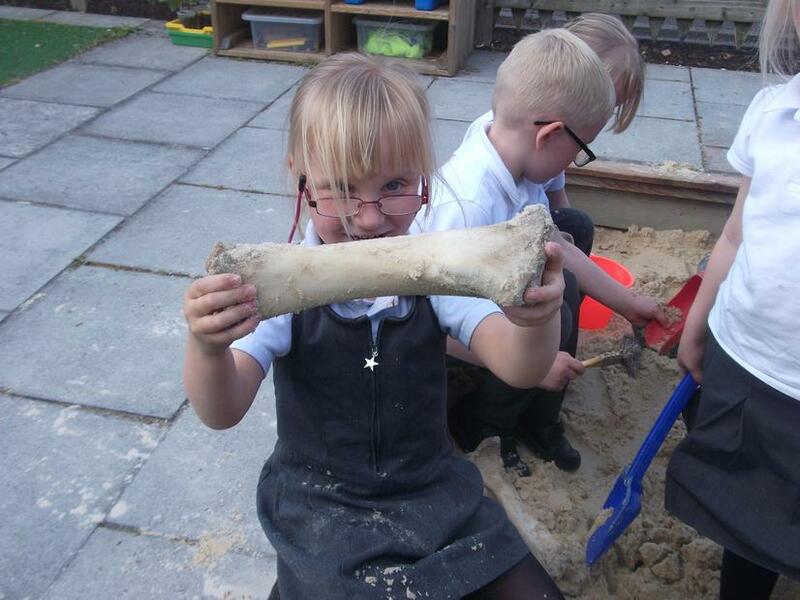 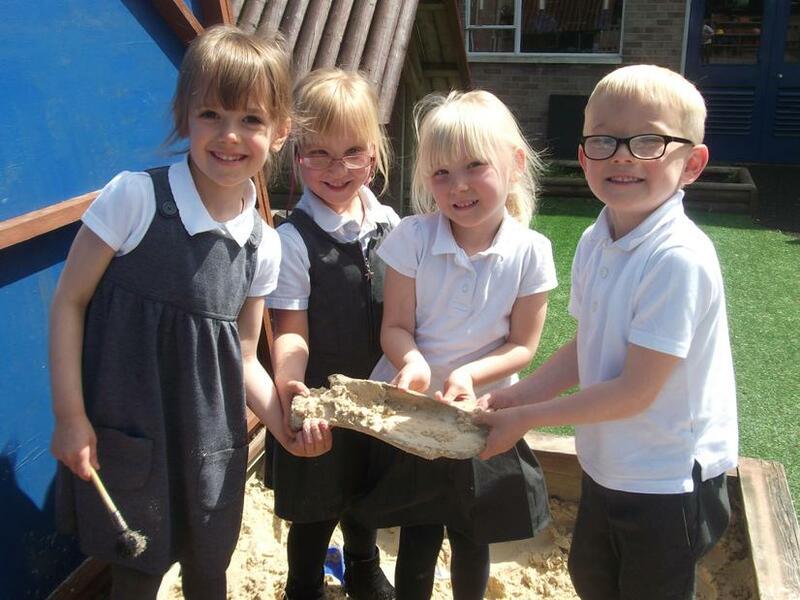 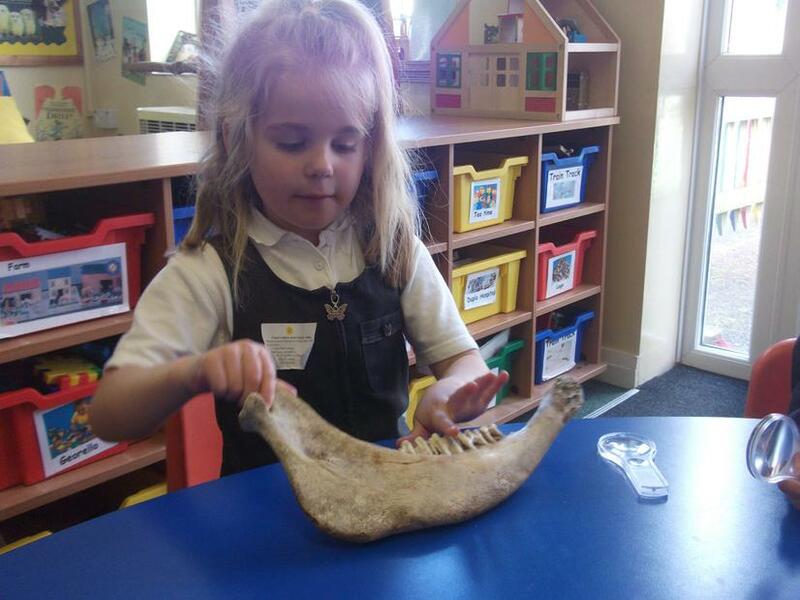 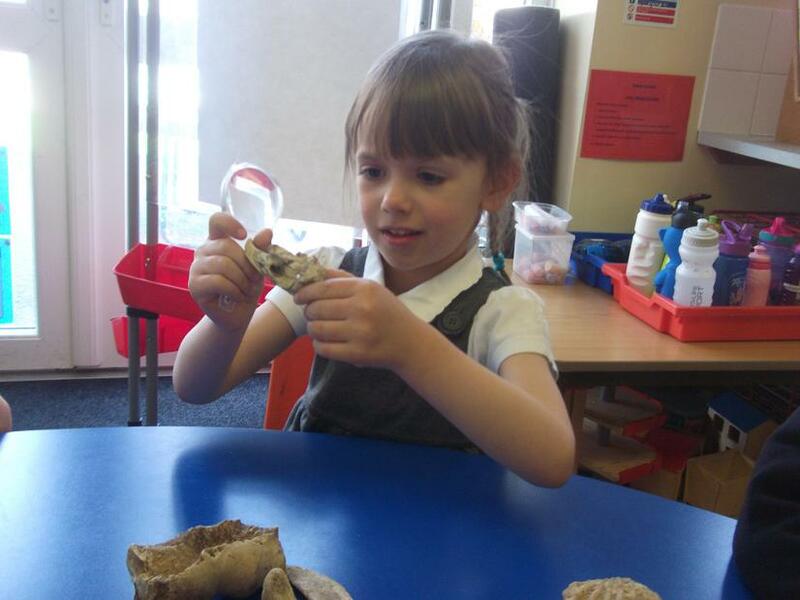 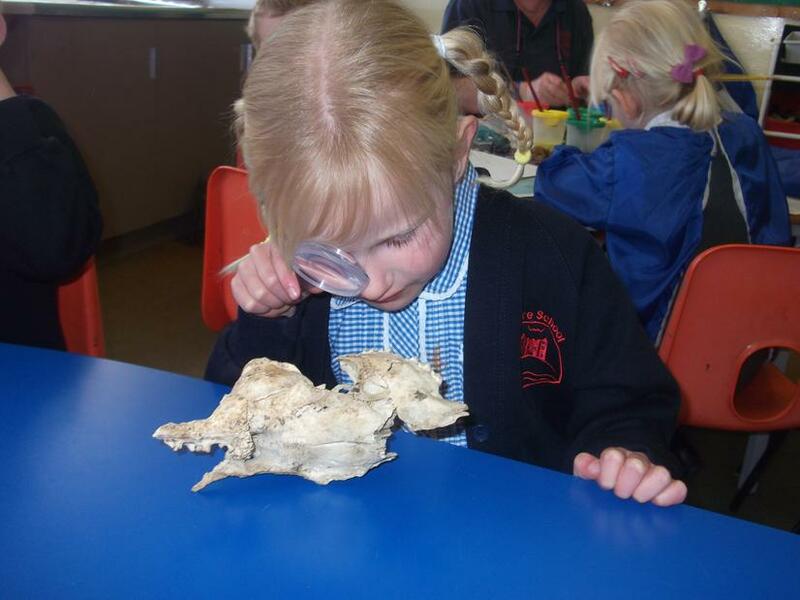 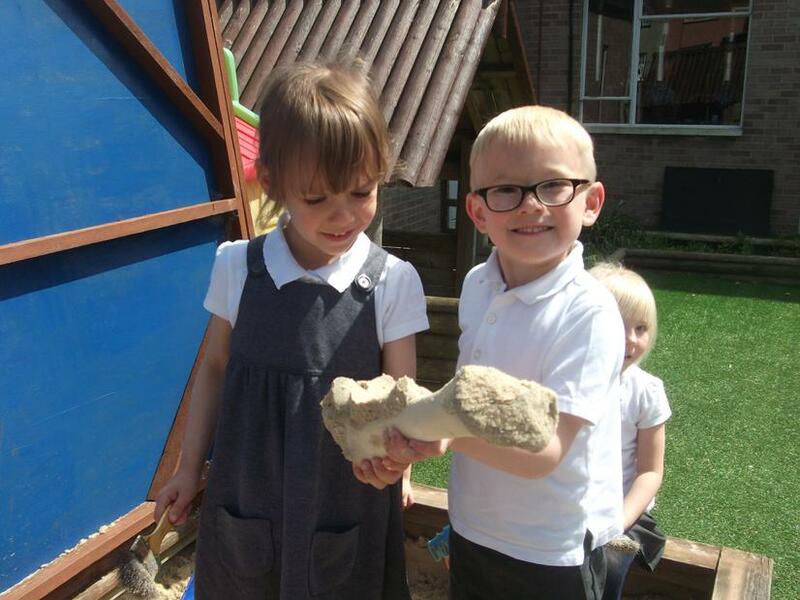 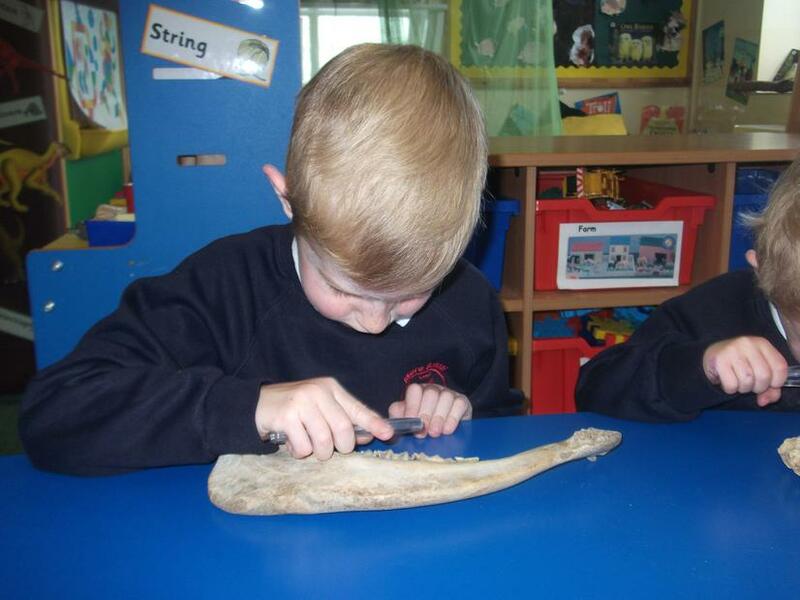 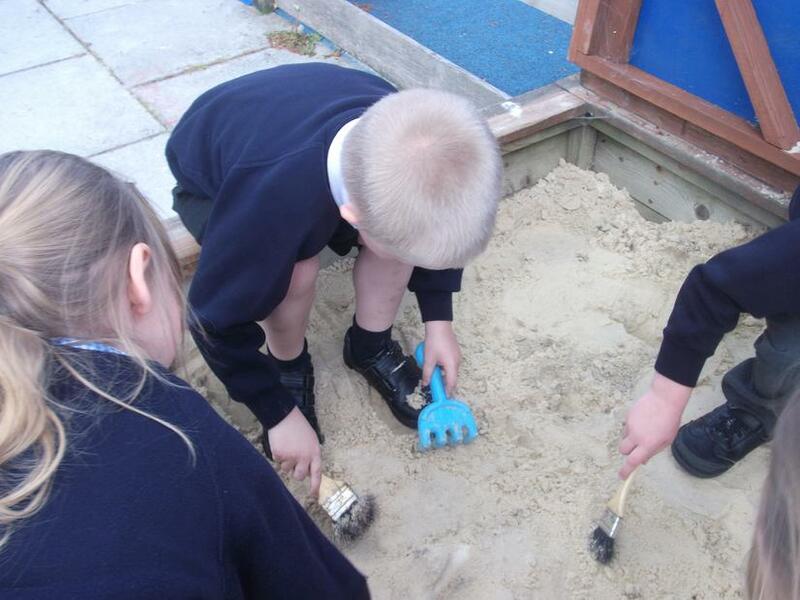 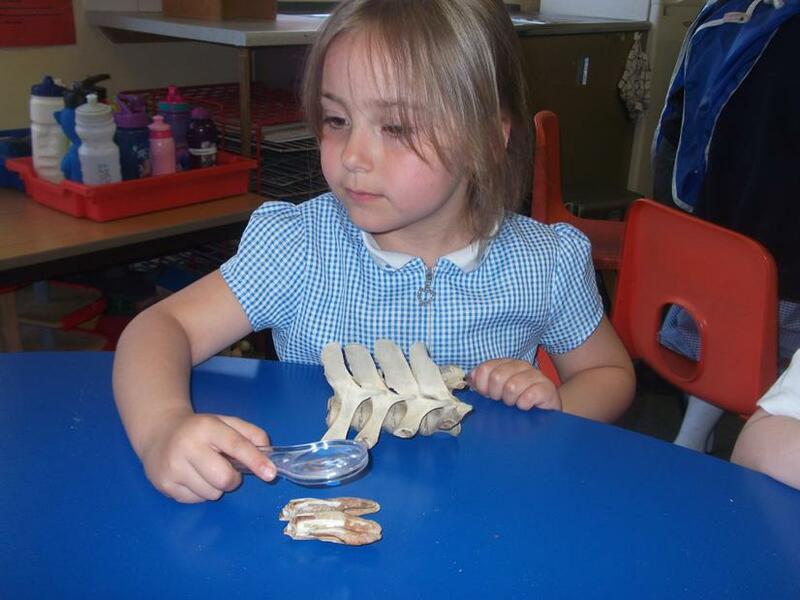 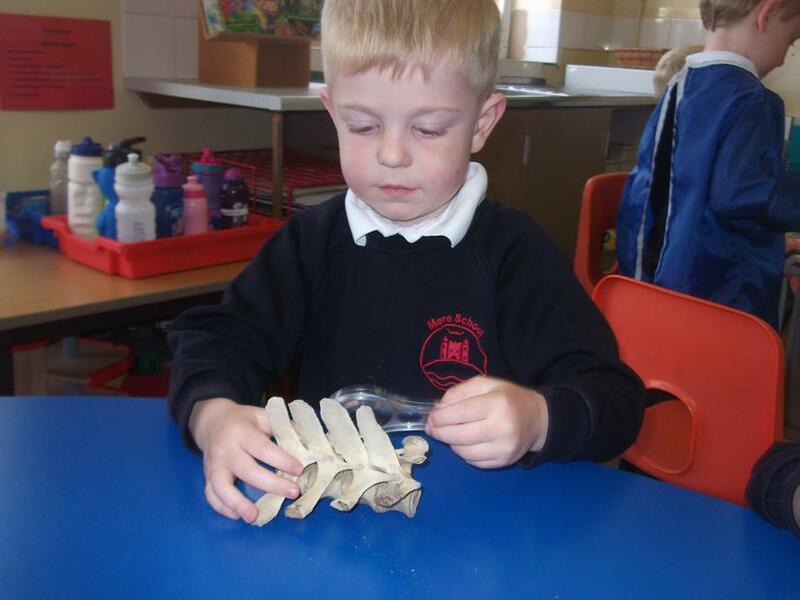 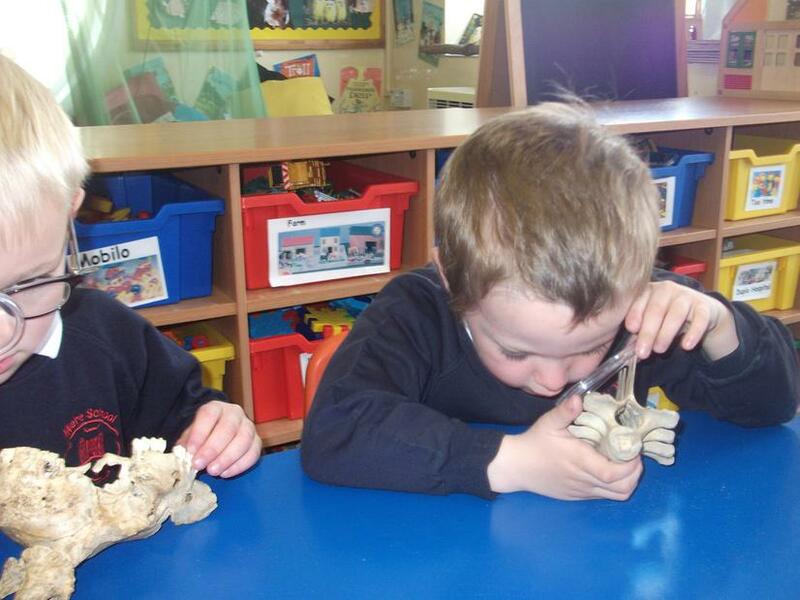 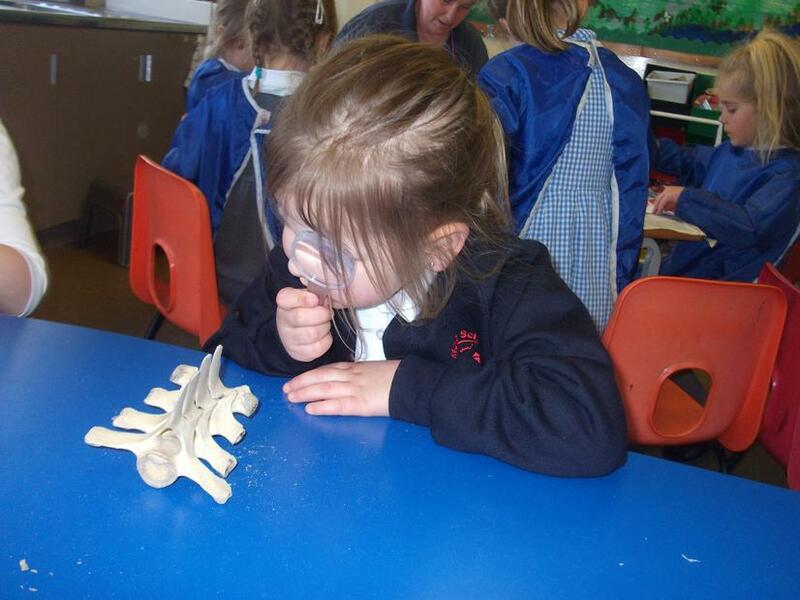 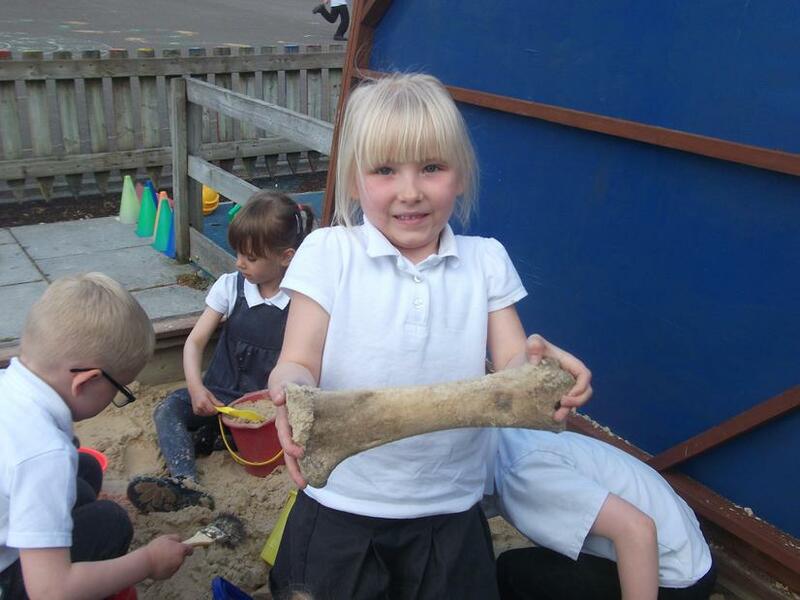 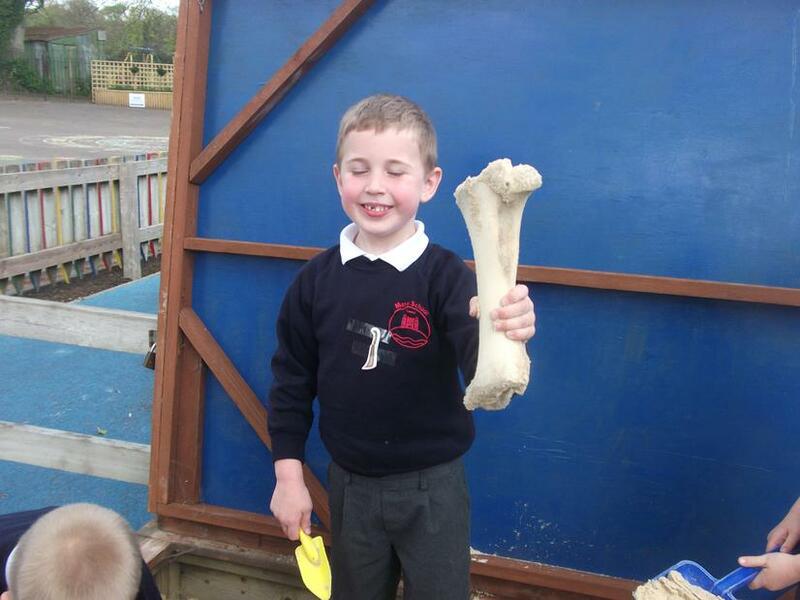 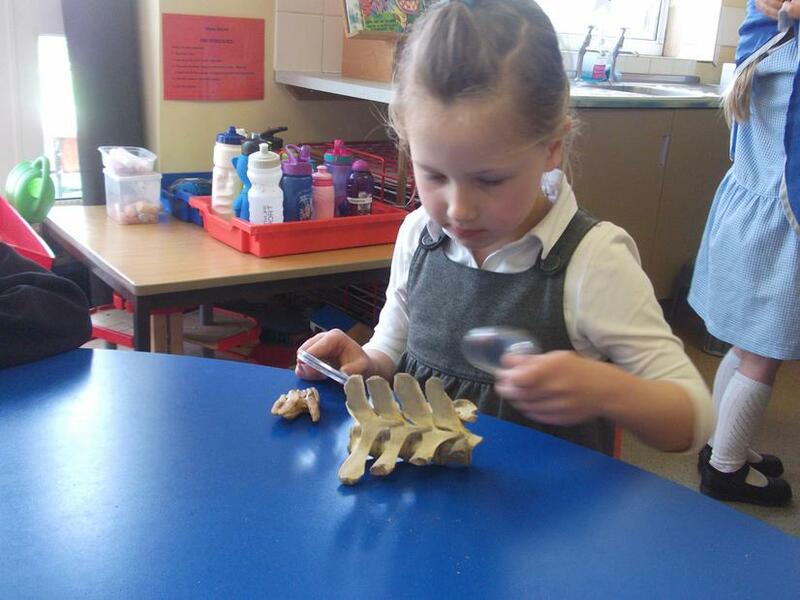 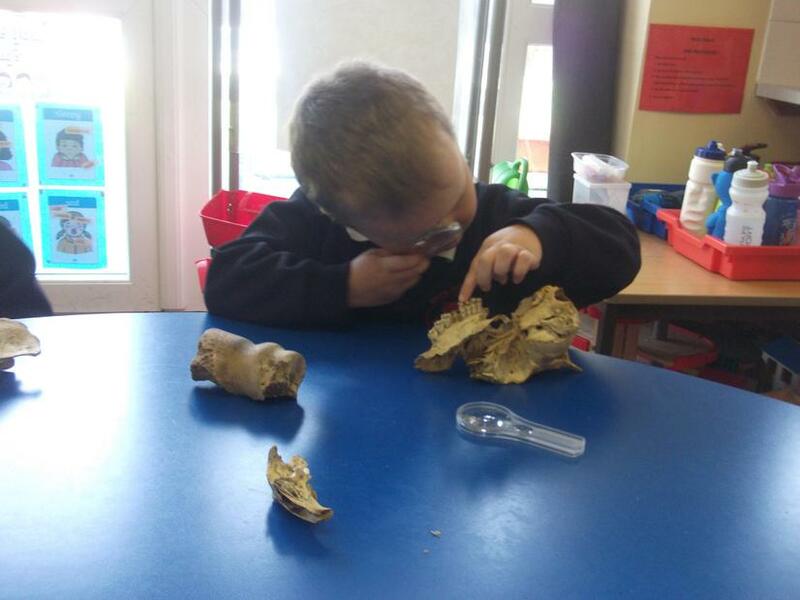 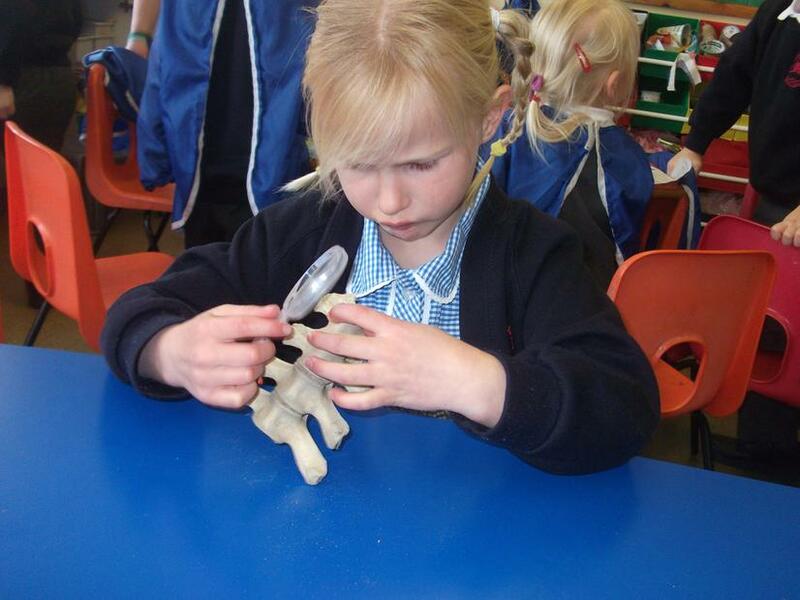 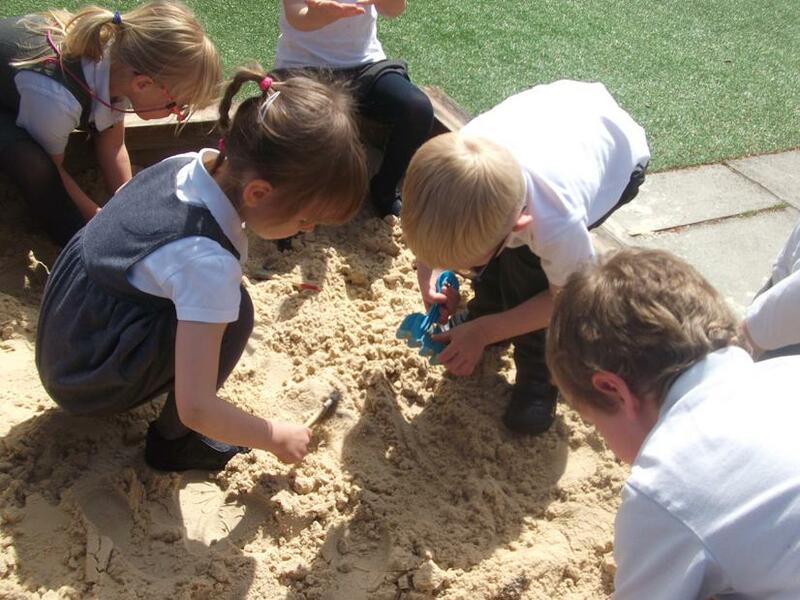 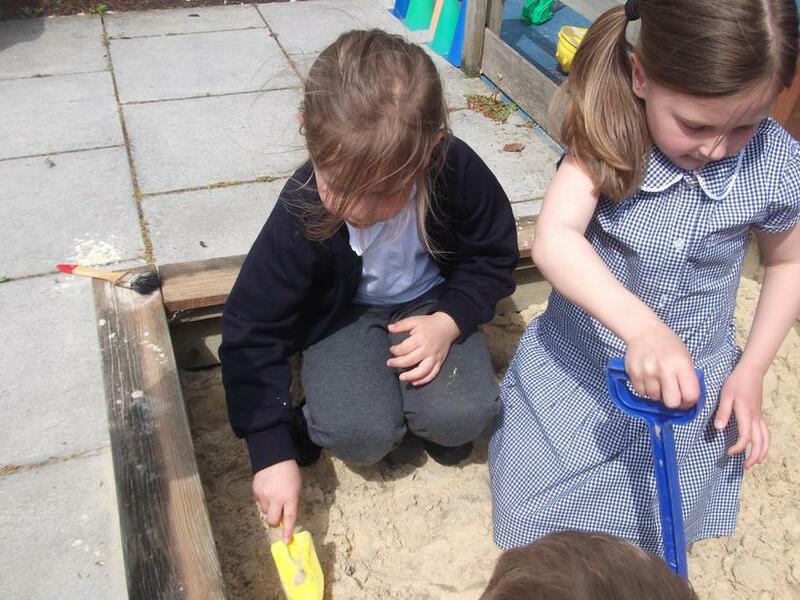 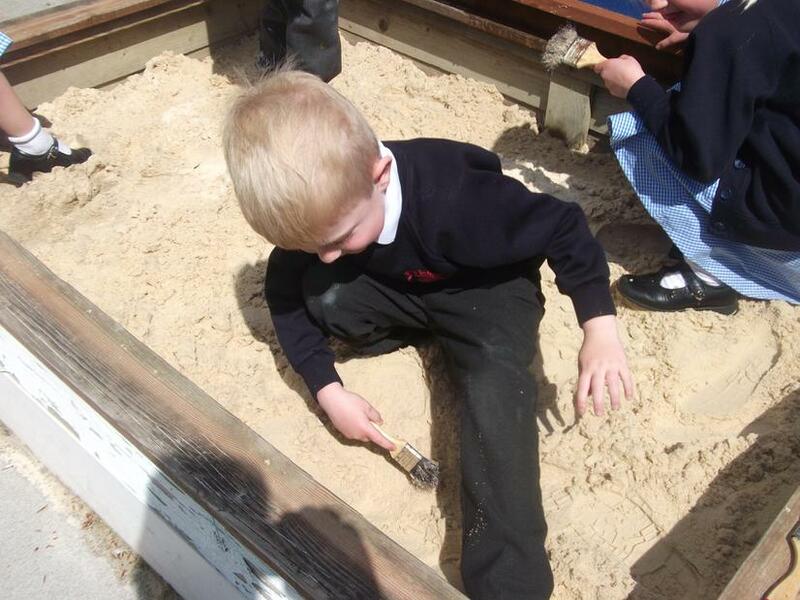 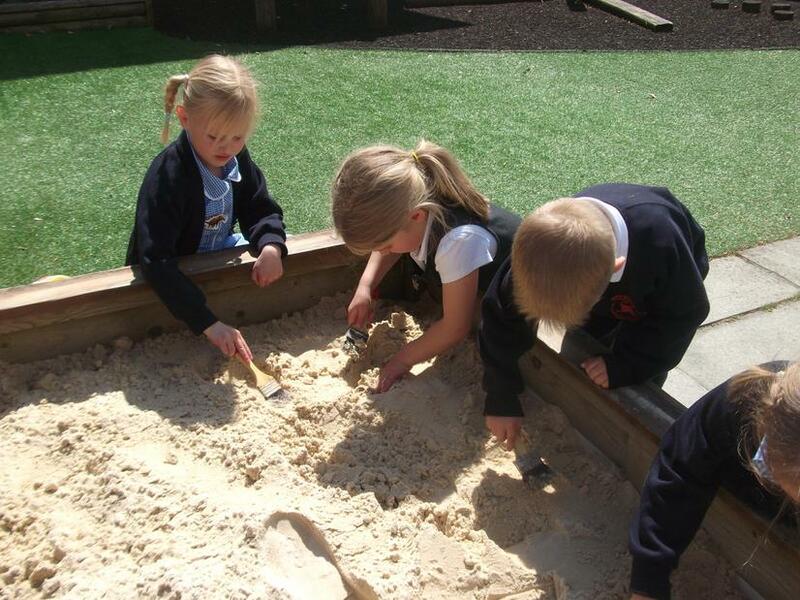 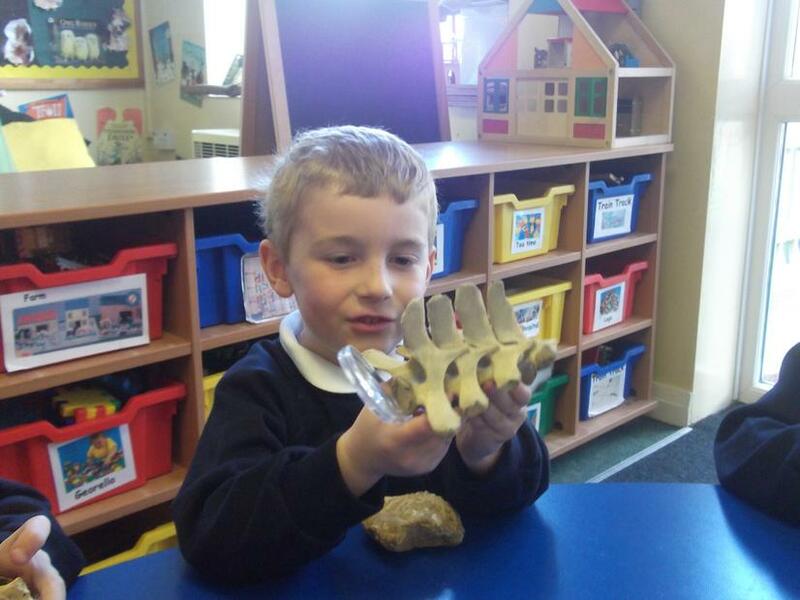 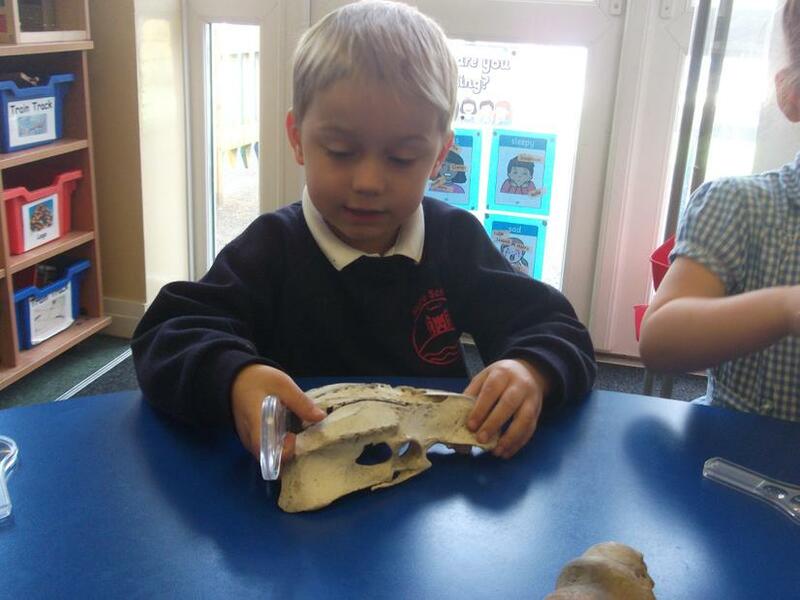 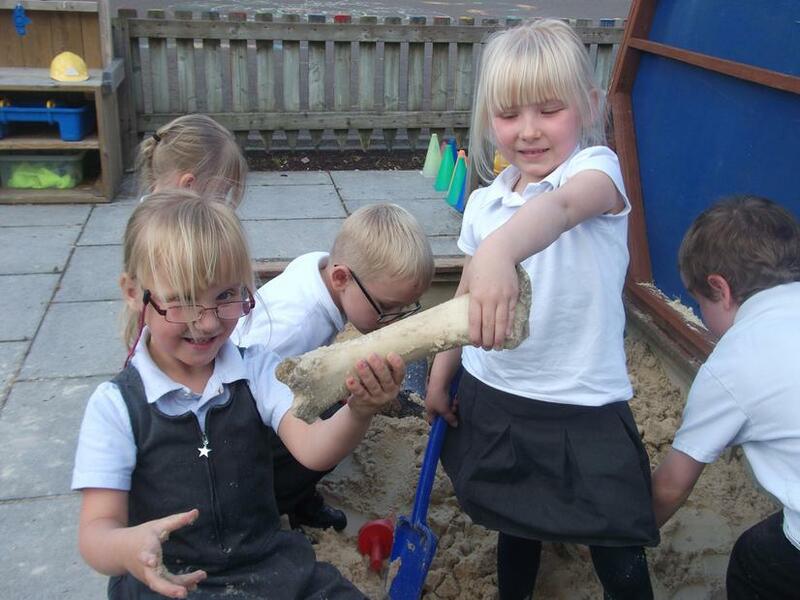 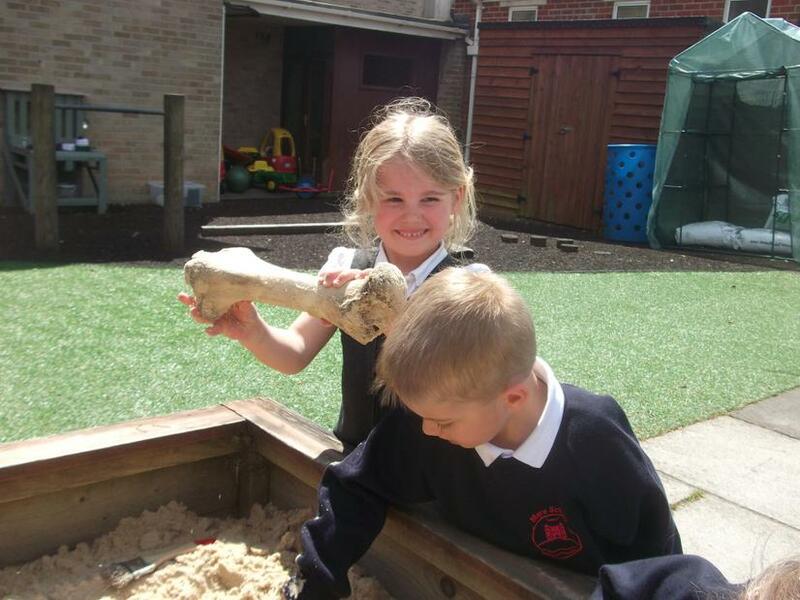 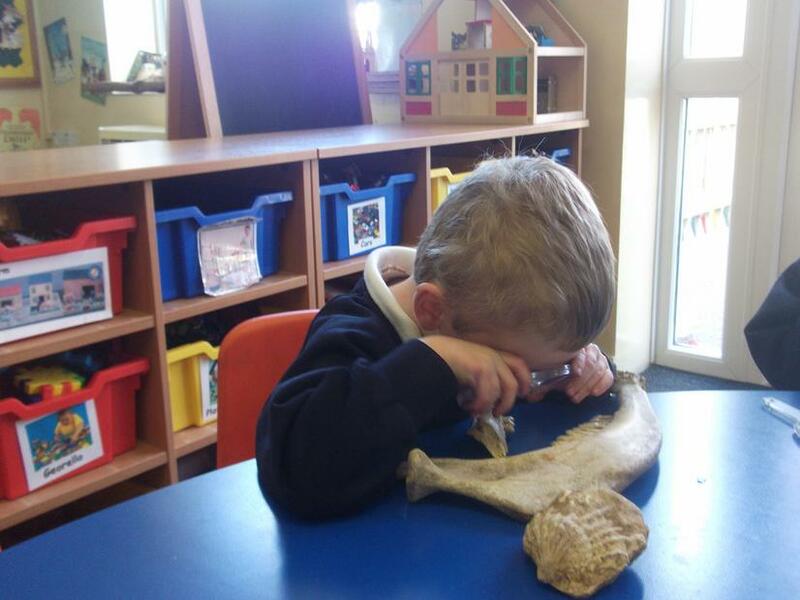 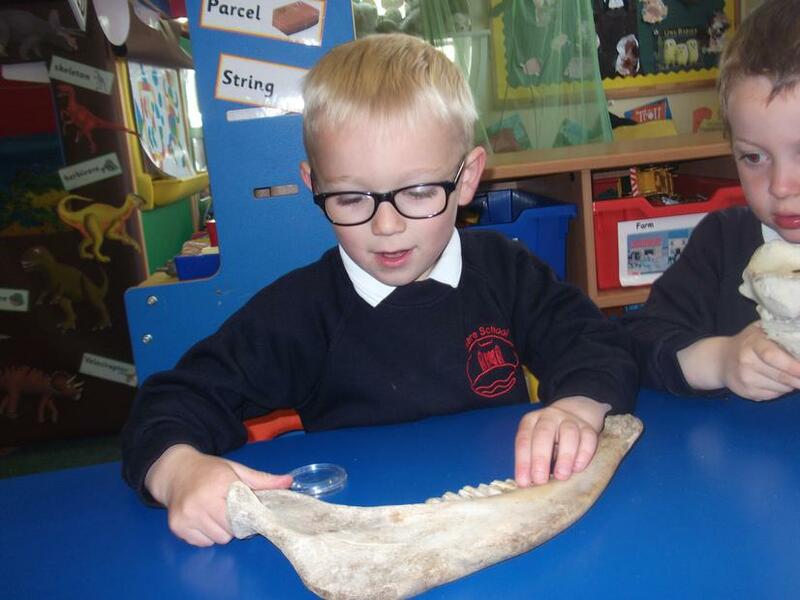 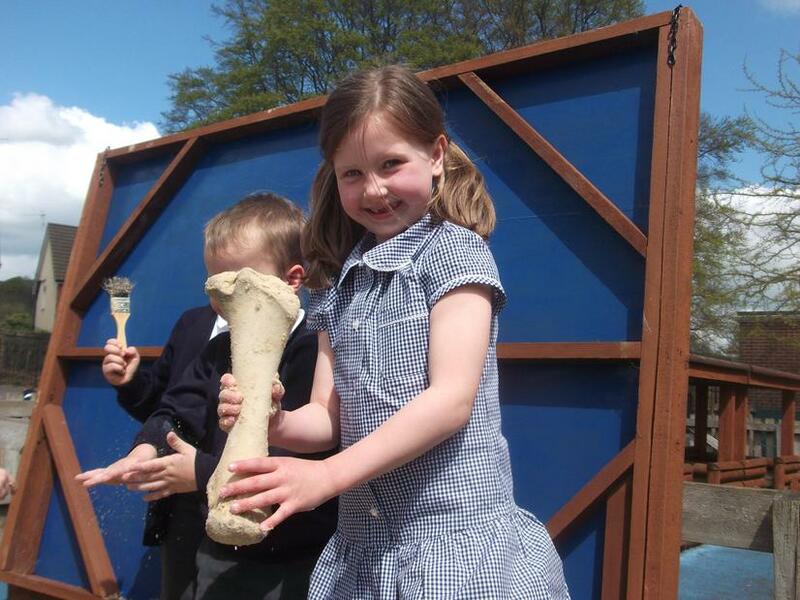 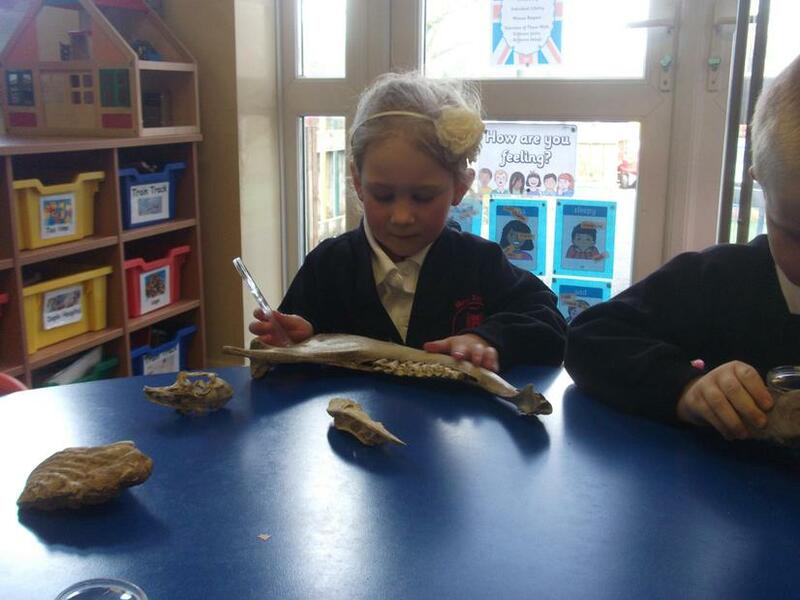 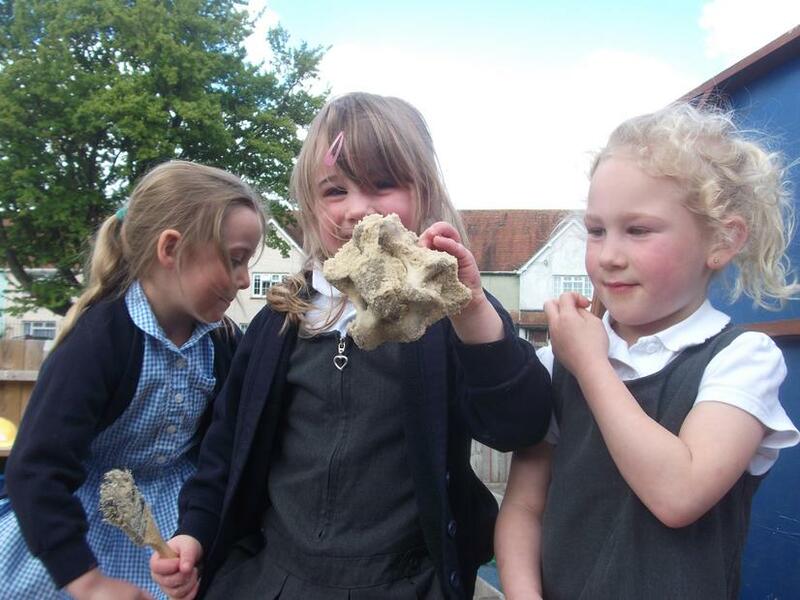 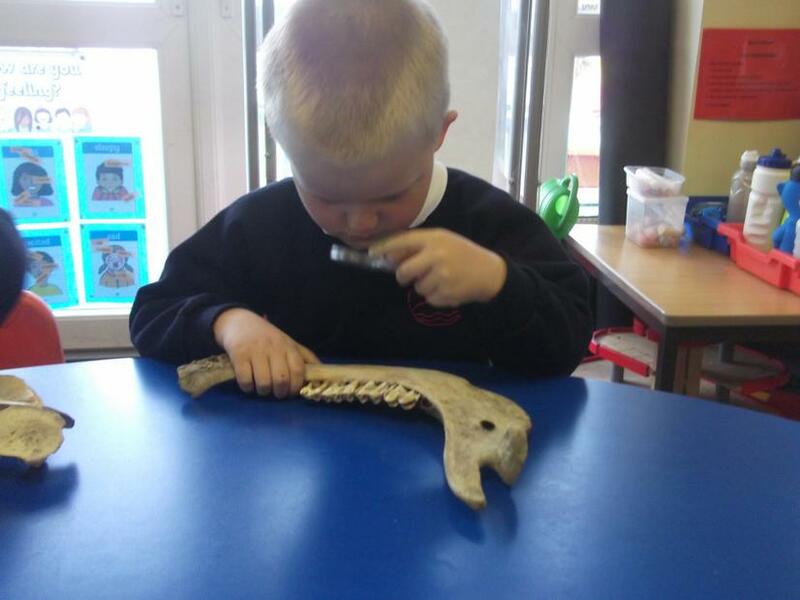 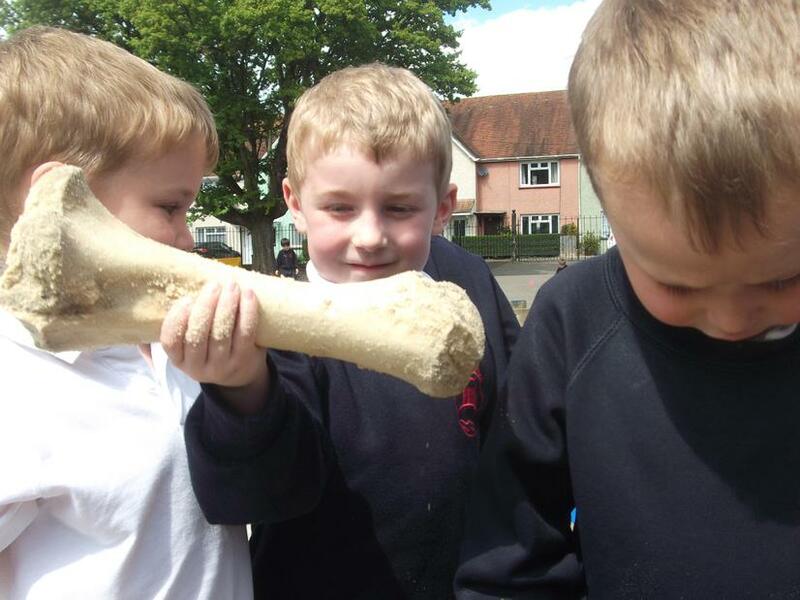 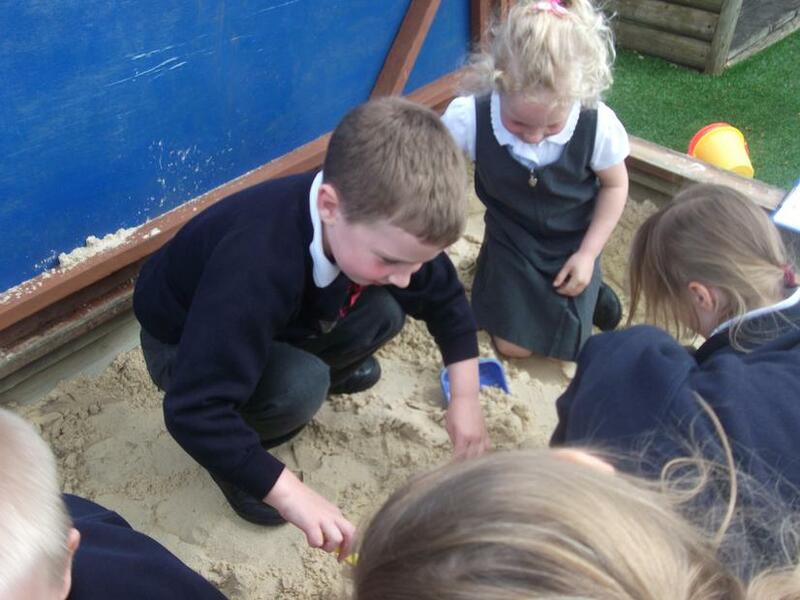 We also talked about dinosaurs living millions of years ago; we enjoyed becoming paleontologists when we found some dinosaur bones in the outside area.